Fair enough. Hot dogs are, after all, a meat emulsion. And if some cheap processor was feeling Sweeney Todd enough, he or she could put pretty much any part of the cow or pig into the sausage without the customer being much the wiser. 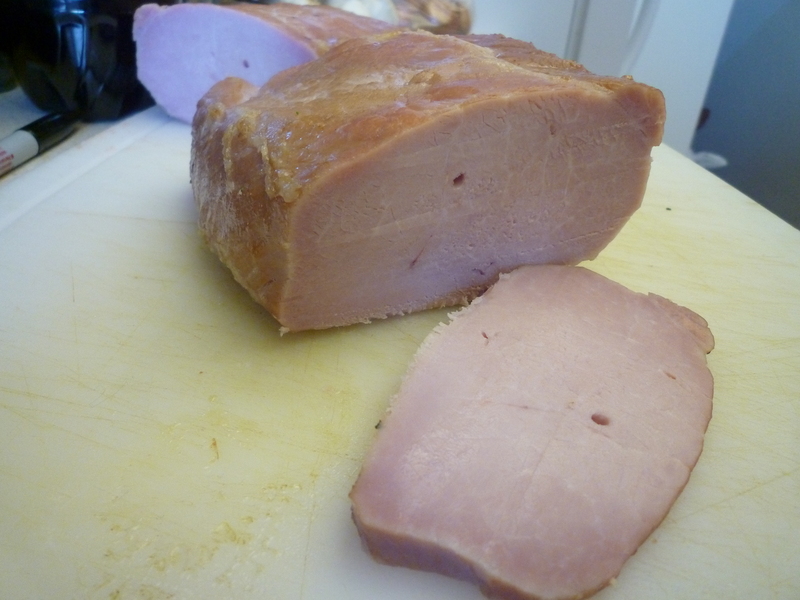 And the sad fact is that even when the meat is of decent quality, processors often use a significant amount of filler. Consider that 3 oz. of short rib meat (separable lean) contains 26 grams of protein, and then look at a package of decent quality kosher beef hot dogs. Most are 2 oz., yet contain only between 6-10 grams of protein. What that tells me is that I’m eating mostly fat and filler…and we can do better, don’t you think? Since Labor Day is coming up and it’s the perfect moment for a picnic, let’s rescue the humble hot dog and make it a sausage you’re proud to serve your guests. Plus, you’ll be the best friend of pregnant women everywhere who have been banned from eating pre-packaged hot dogs due to the risk of listeria and other bacteria. The secret to hot dogs, as with most sausages, is getting the right ratio of meat to fat. Fortunately the cow in all of its glory has a cut that achieves this balance perfectly (and inexpensively in most cases): The short rib. And don’t discard the bones! They make excellent beef stock. 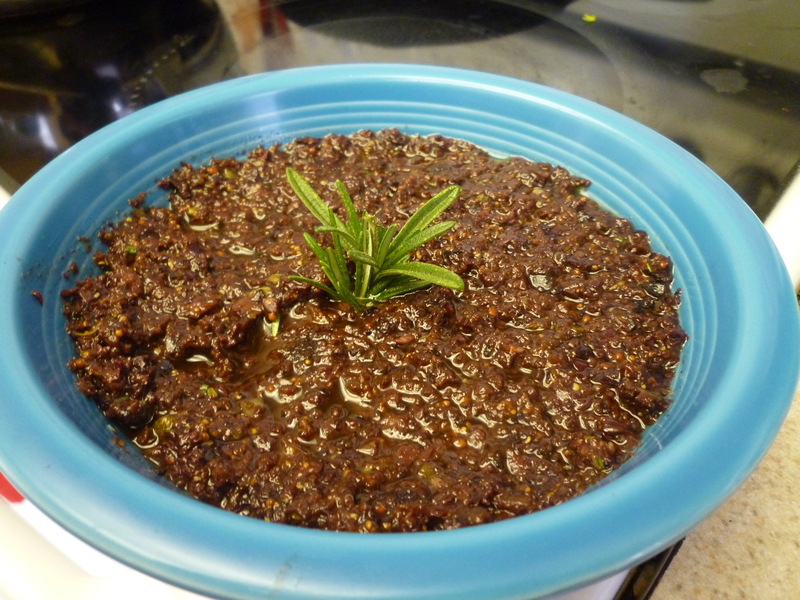 Begin by grinding the meat using the smallest dye you have. 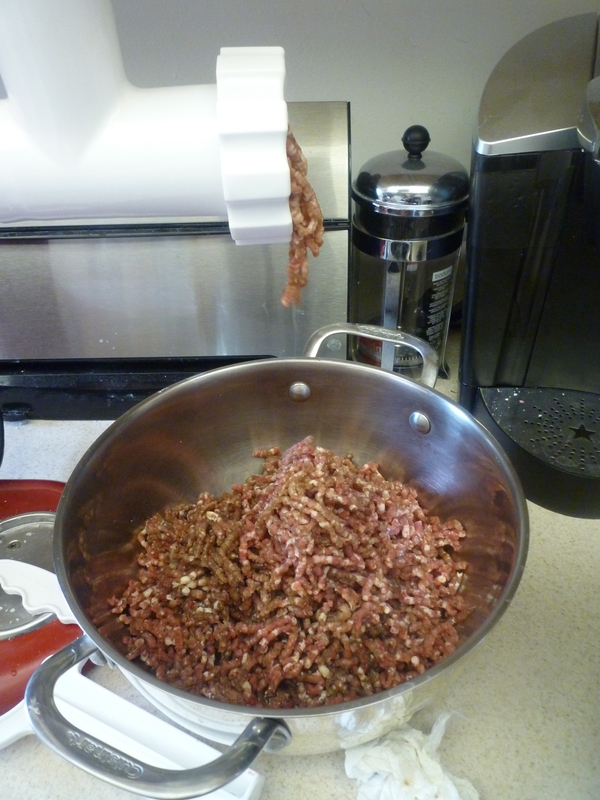 Mix the ground meat with the salt, pink salt, and water, then mix by hand to distribute the salts throughout the meat. 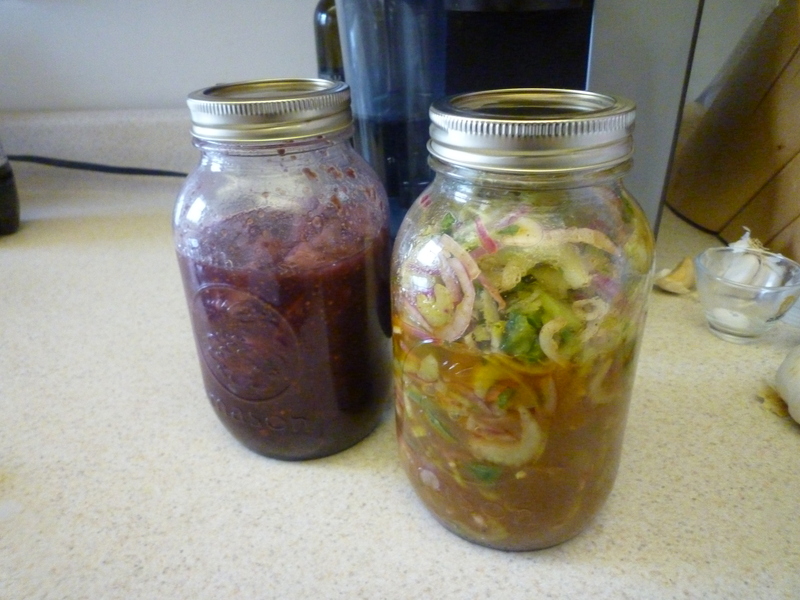 Cover and refrigerate this mixture for 24-48 hours. 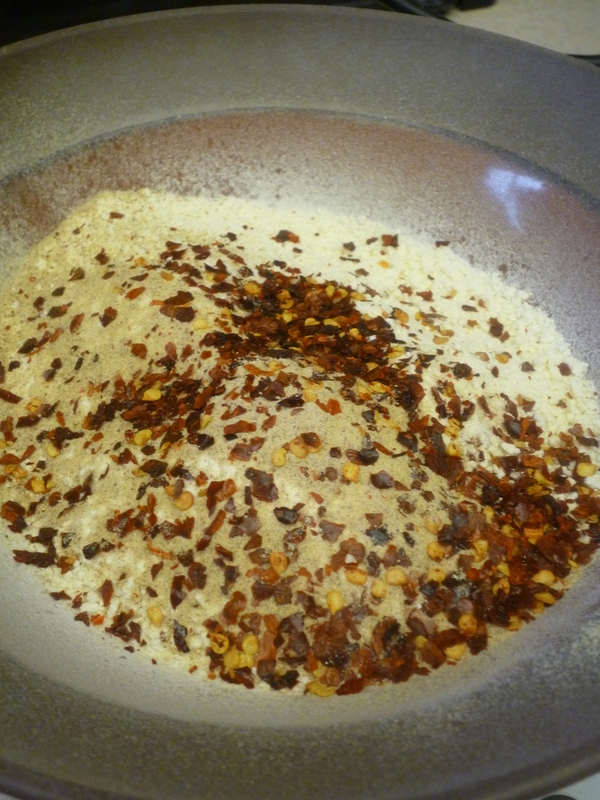 Add the mustard powder, smoked paprika, coriander, white pepper, garlic, and corn syrup to the beef and salt, and mix well. 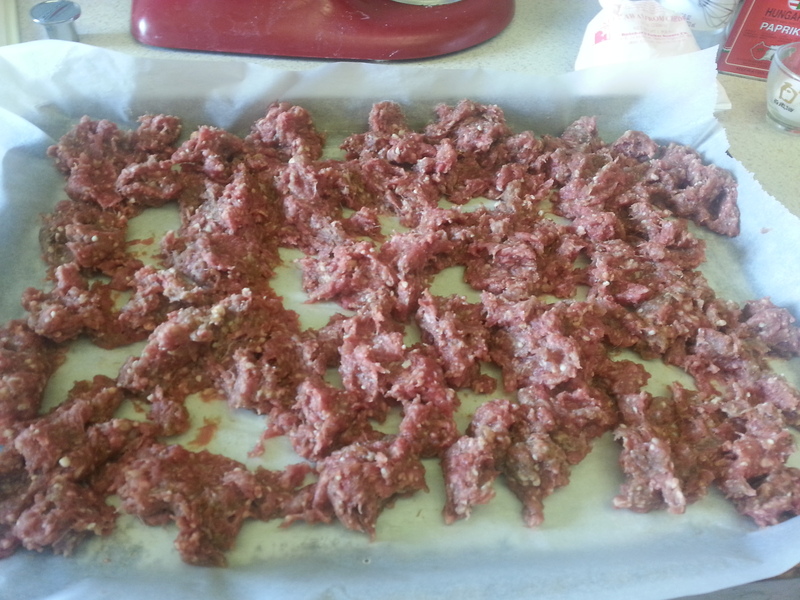 Spread the meat mixture onto a baking sheet in one even layer. 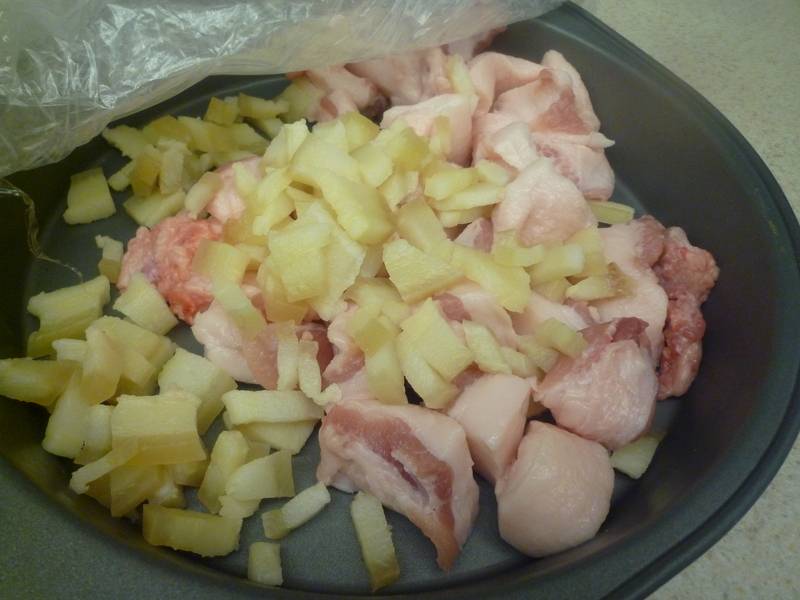 Freeze for a half hour, or until the meat is stiff but not frozen solid. 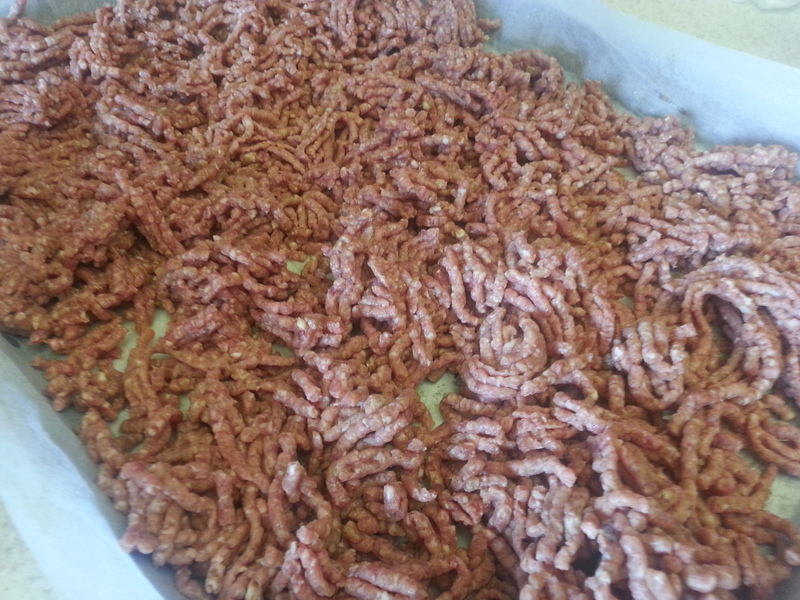 Regrind the mixture and again spread it onto a baking sheet and freeze until the meat is stiff, about a half hour. 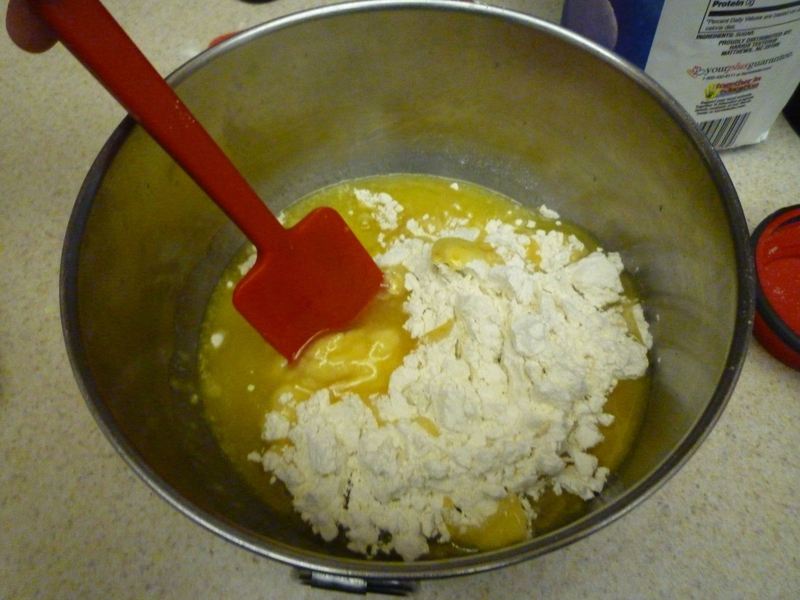 Now it’s time to process the mixture into a uniform paste. The most important part of this step is to not let the meat get too warm. 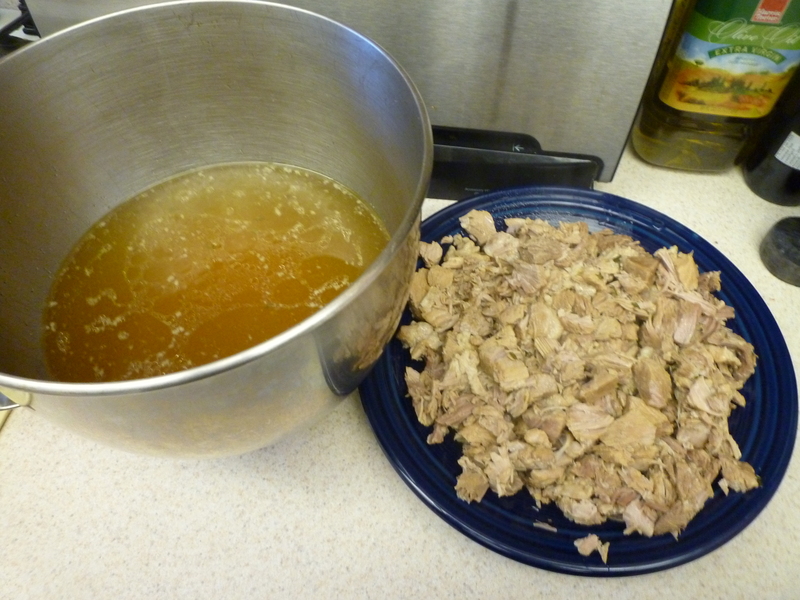 I processed this amount of meat in two batches; use brief pulses until a smooth consistency is reached. Find the opening at the end of the casing and rinse through with cool water. 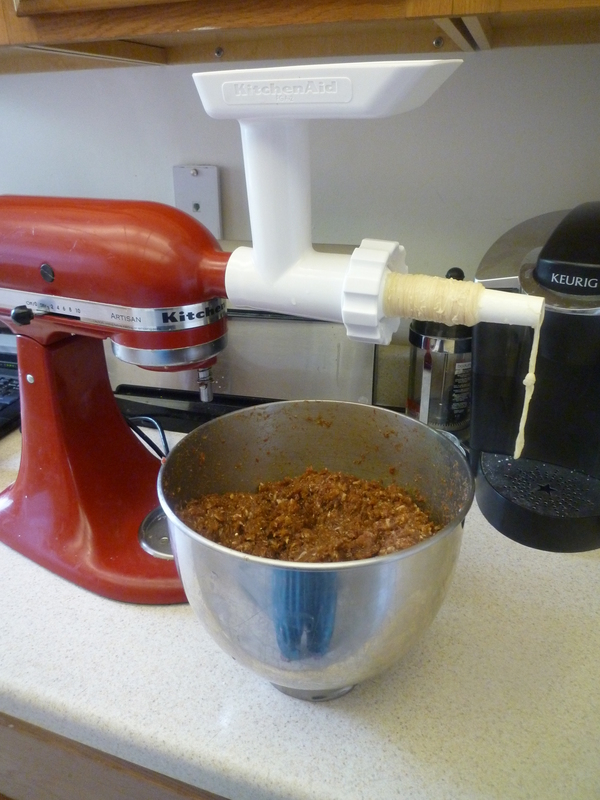 To stuff the sausages, I used the attachment for my mixer with the smallest tube (5/8 in.). Grease the tube with a small amount of oil and shimmy on the casing. 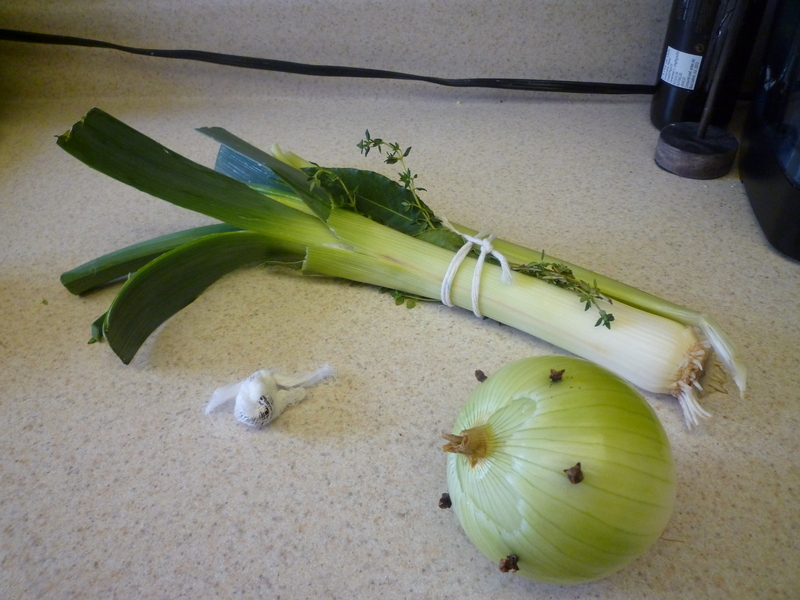 Tie off the end and have a sterilized pin nearby to prick out any air bubbles or pockets that form during stuffing. For a detailed, photographic tutorial of sausage stuffing, see my earlier post on how to make boerewors. 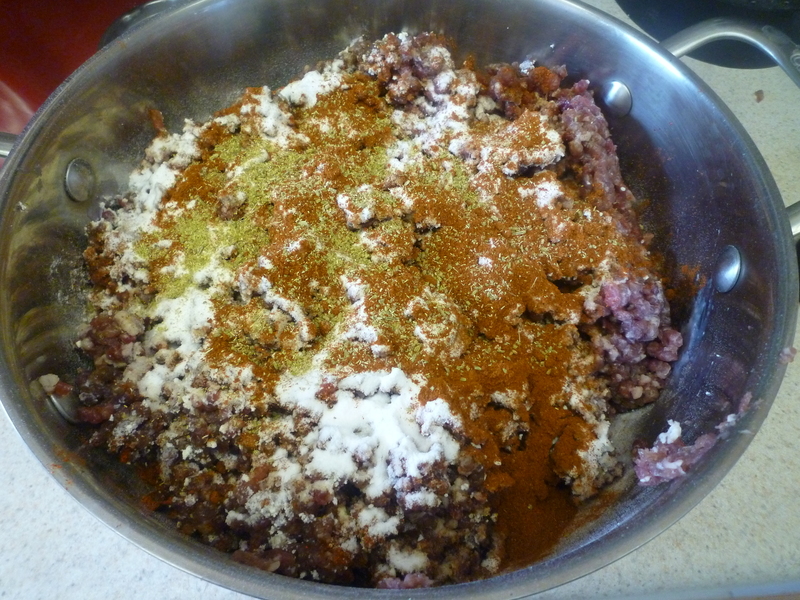 Feed the hot dog mixture slowly into the casings, taking care not to overstuff. 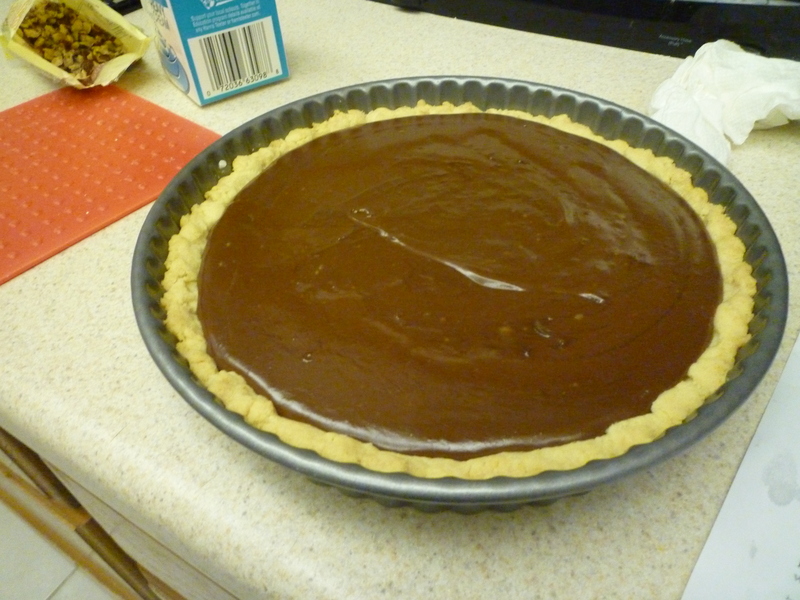 Go slowly enough to ensure even thickness throughout. 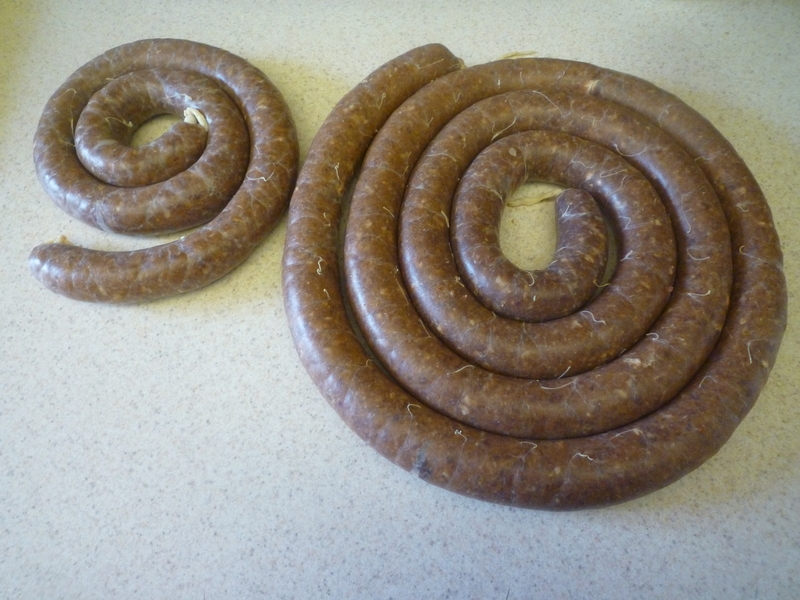 Once you’ve filled the casing, go back and smooth out the rope of sausage, check for evenness, and twist into 6 in. links. 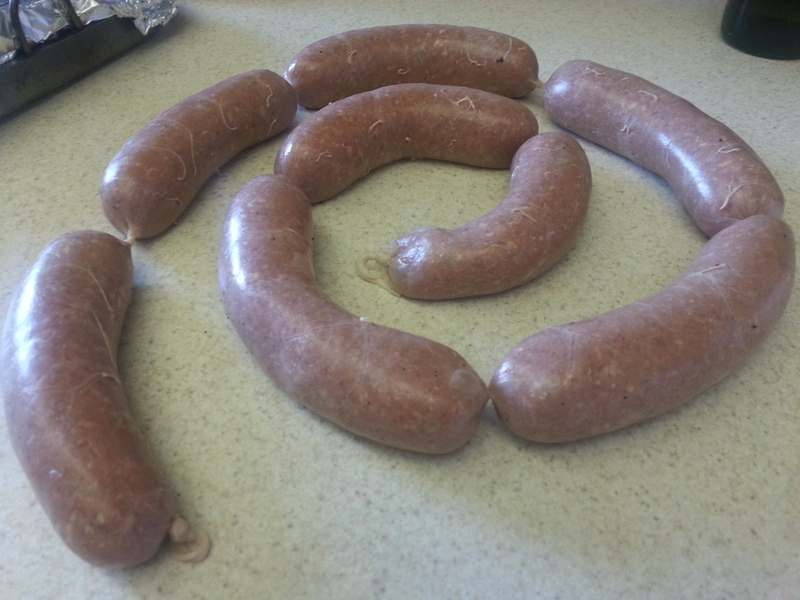 How many links you get will depend on the diameter of the casing and the thickness of the sausage. Prick the casings all over with the pin. Let’s get smooooooookin’! I used applewood chips in my stovetop smoker and hot smoked the hot dogs until they reached an internal temperature of 150 degrees. While the hot dogs are smoking, prepare an ice bath large enough to chill the whole batch. Once they have reached 150 degrees, move the hot dogs directly to the ice bath and chill completely. This step helps finalize that characteristic hot dog texture on the inside and gives the casing that nice *snap* when you bite into it. I store hot dogs in vacuum sealed bags, but well-wrapped in wax paper they will last in the refrigerator for about a week. 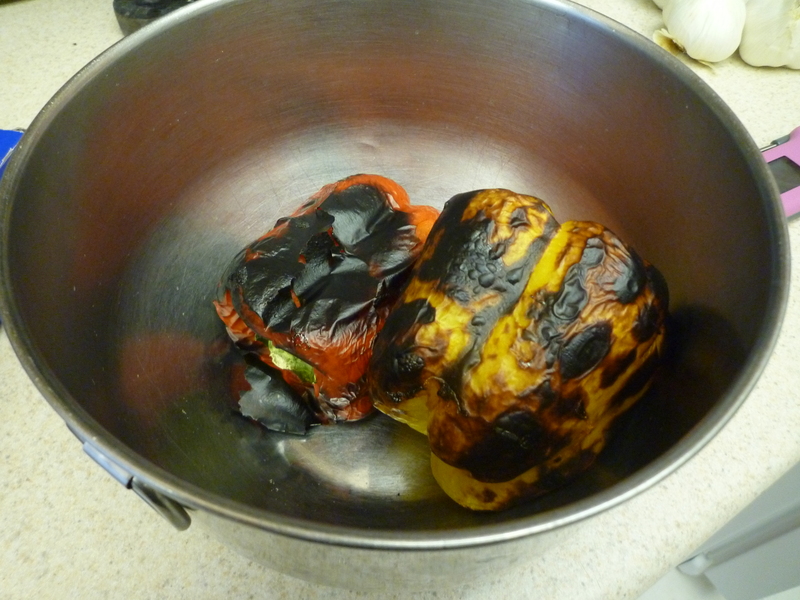 They also freeze well, but thaw completely before broiling, simmering, or grilling. Joe and I are purists when it comes to hot dogs. We usually forgo the buns altogether and eat these with a few squirts of good old Heinz ketchup. Every once in a while though, I go full ballpark: Steamed bun, finely diced blanched onion, pickle relish, and mustard. Yum. Oh, and fellow DC / NoVA residents…want a half-smoke? Simply replace half of the short rib meat with diced pork shoulder and amp up the spices with some chili powder, cayenne pepper, and hot paprika. You’ll feel like you’re on U Street or at Nationals Park in no time. Be the genius at your Labor Day picnic when you say, “I’ll bring the hot dogs!” When friends get a taste of that perfectly emulsified sausage full of rich short rib meat, spices, and smoky flavor, they won’t be able to resist having one…or three. 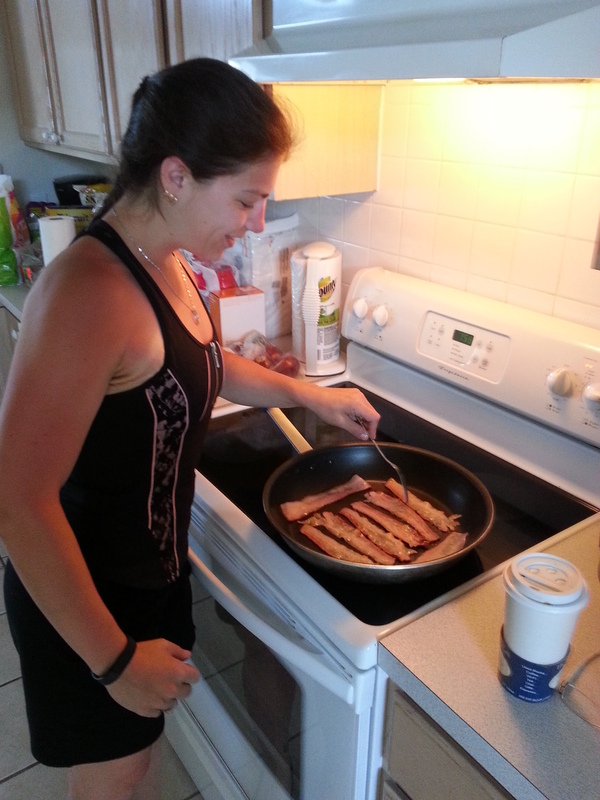 Plus, your well-fed guests receive a heap of protein and iron, making you a culinary hero all around. Talk about a hiatus, eh? Well, Neen has not abandoned her Notes, but the last few weeks have been a little bit tricky. My last week at the Folger was the epitome of bittersweet, and frankly I’ll admit that I’m still grappling with what and who I am now. It sounds strange; I never thought that I was so attached to seeing myself as Associate Production Editor of Shakespeare Quarterly until I suddenly couldn’t do it anymore. Now I’m the boss. That is beyond weird. Yes, the individual who hates being bossy or delegating tasks was suddenly thrust into the bizarre managerial scenario of being her own boss. And though I’m not perfect at it, I’m getting the hang of keeping my days busy and varied. I do crave a little bit of structure, which is on the horizon in the form of a recent acceptance into Tufts’ graduate certificate program in nutrition science for communications professionals, and (provided the application and interview process go well) beginning yoga teacher training in the fall at Pure Prana. Where I’m headed with my career is vaguer. I write new letters and apply for jobs every day, but nothing has leapt off of the page at me yet. So part of what I am hoping to do through these personal and professional development courses is figuring out what exactly I’d like to be next. I’ve already decided that I don’t want my identity to hinge on it…who I am is Neen. And pigeon-holing a person, or boiling down their essence to a single occupation? Well…that seems oversimplified to say the very least. 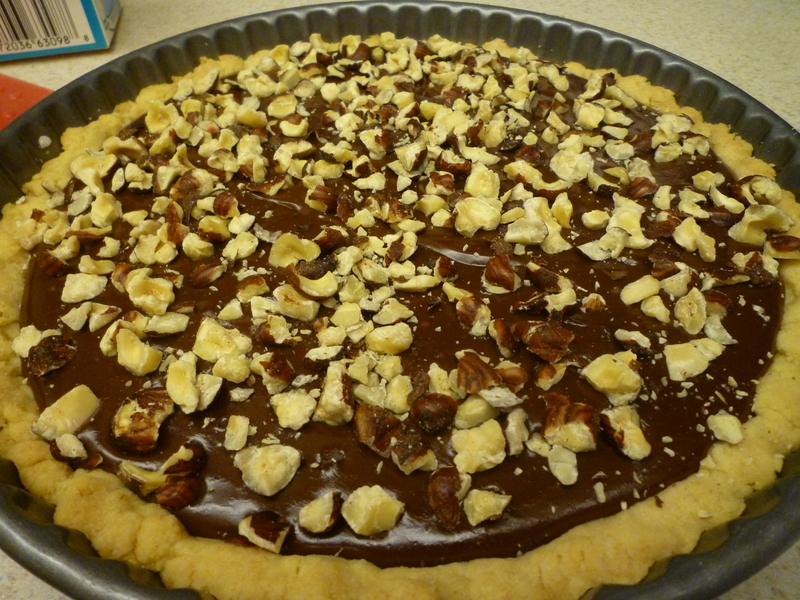 But there are some constants and certainties in life, and one of those is surely cooking. It has remained (along with family) as my home base, my safe place throughout this entire internal earthquake. 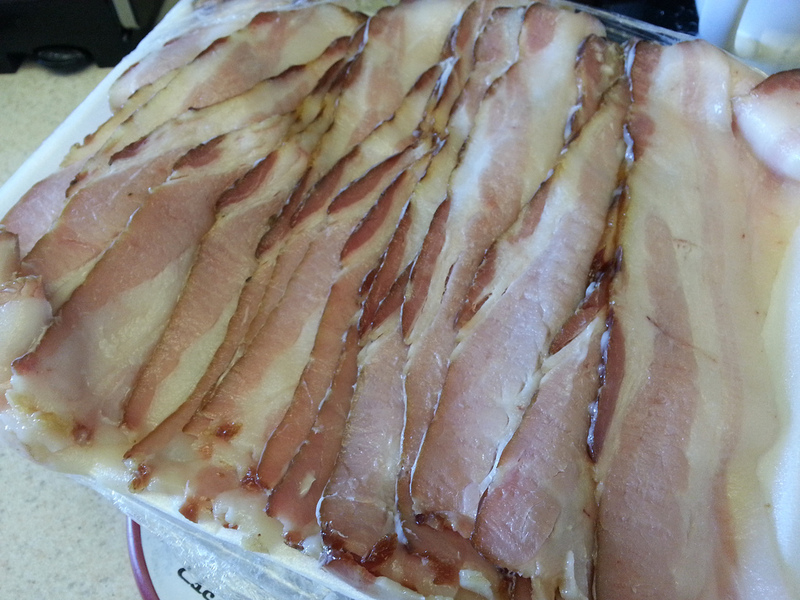 It has been where I manage to find a center…and so what recipe more appropriate to share with you than the sweet-salty balancing of over-the-top-crazy-good MAPLE BACON. My last few days at the office were full of last-minute trips to my favorite walkable spots on the Hill, and especially to Eastern Market. 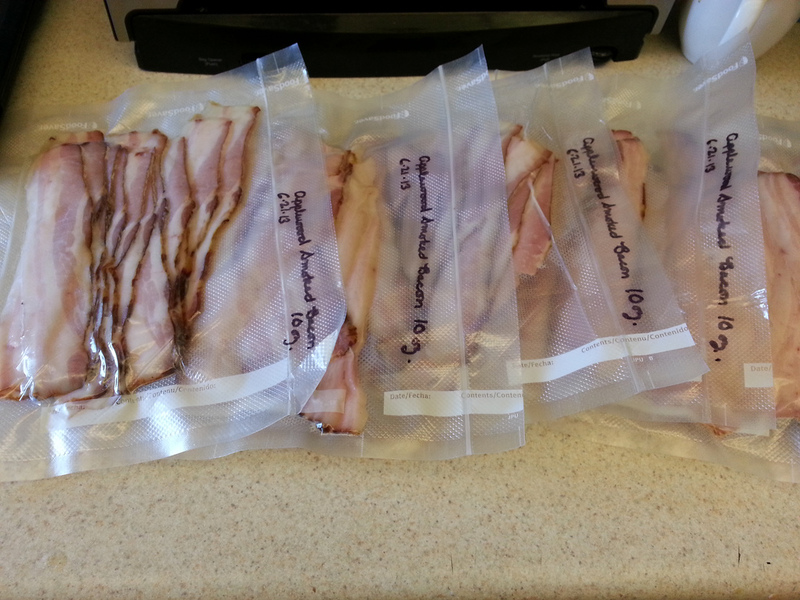 I decided to make some duck prosciutto (recipe here) and try out my new Cameron stovetop smoker on a batch of maple bacon. After acquiring the necessary animal parts at Union Meat (thanks guys! ), I stopped to talk to Mrs. Calomiris and she as always sent me on my way with an armload of the perfect accompaniments, and an extra banana and a handful of cherries (“for your walk back to the office”). I felt rejuvenated after that trip, and ready to forge ahead with so many of the food projects I’d put off due to lack of time. 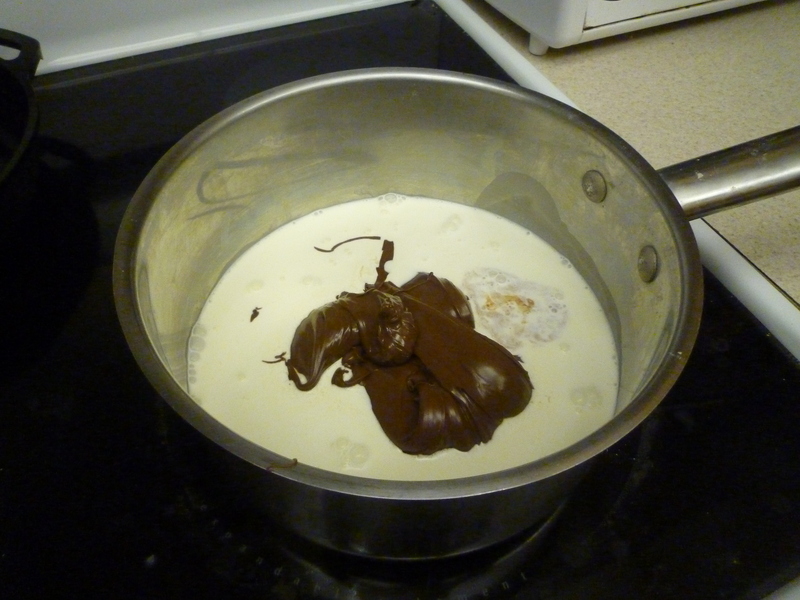 So yes, while I haven’t written to you recently…oh, I have been cooking. 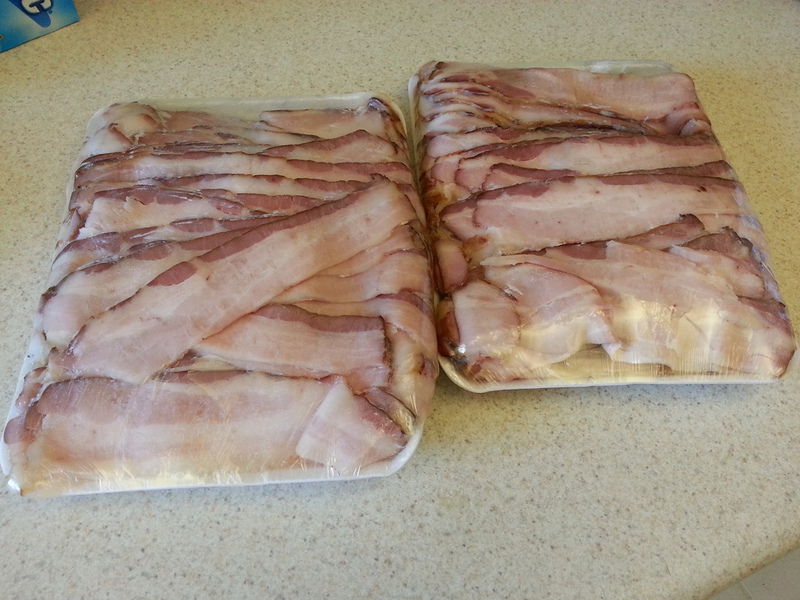 And rest assured that this “so-good-it’s-gonna-make-you-swear” bacon is just the first of many treats to come. 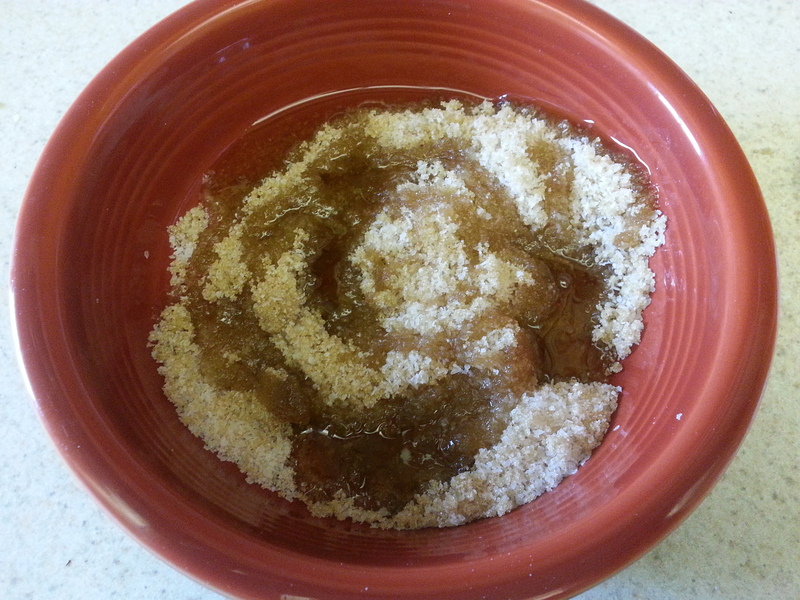 Combine the kosher salt, brown sugar, pink salt, and black pepper, and mix well. 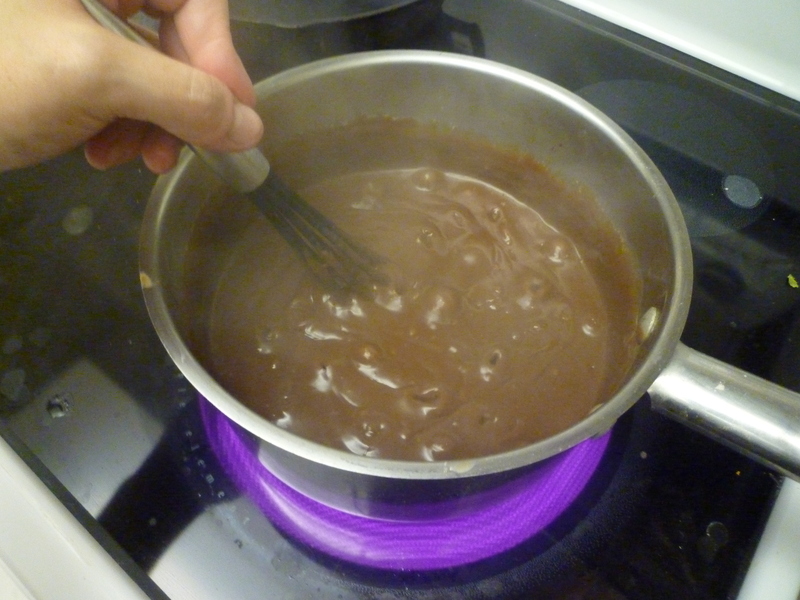 Add the maple syrup and stir until the ingredients are thoroughly combined. 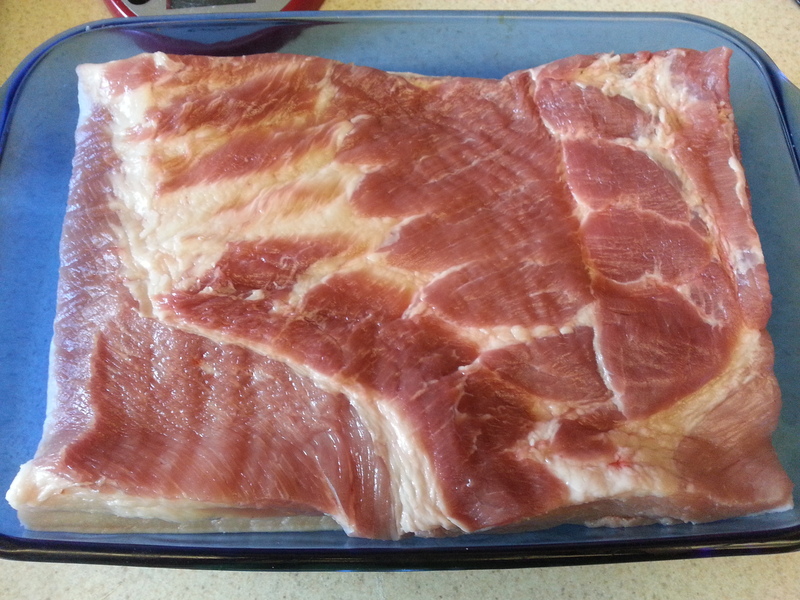 Trim the pork belly until it is as uniformly shaped as possible. This is important because you want the cure to penetrate the meat evenly. 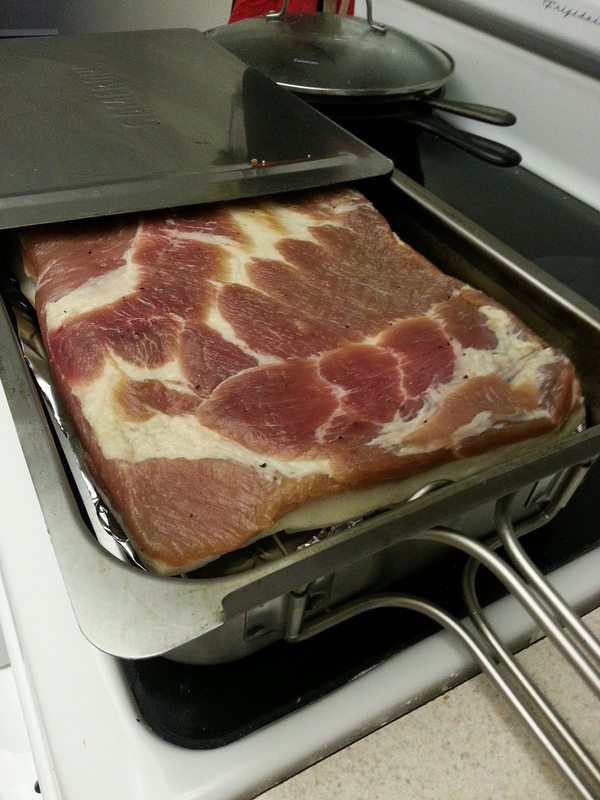 Place the trimmed pork belly in a snug-fitting nonreactive baking dish. 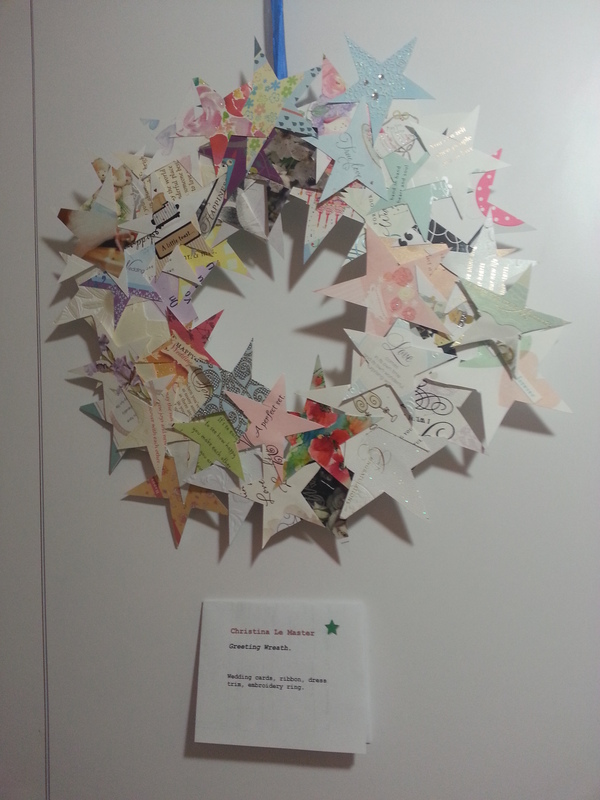 I used a 9×13 in. pyrex baking pan, but the pan you use will be dependent on the size and shape of your piece of meat. 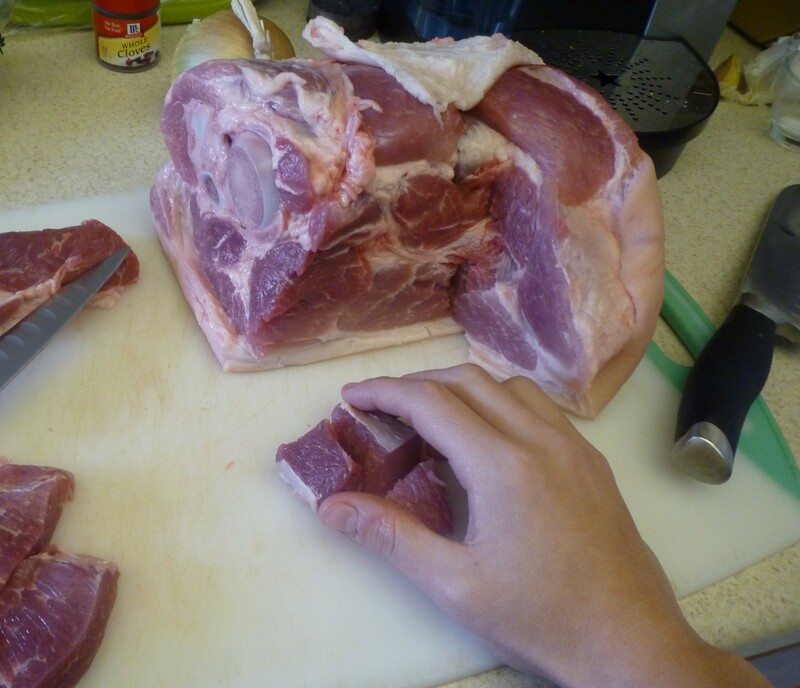 Rub the meat thoroughly with the cure on all sides. 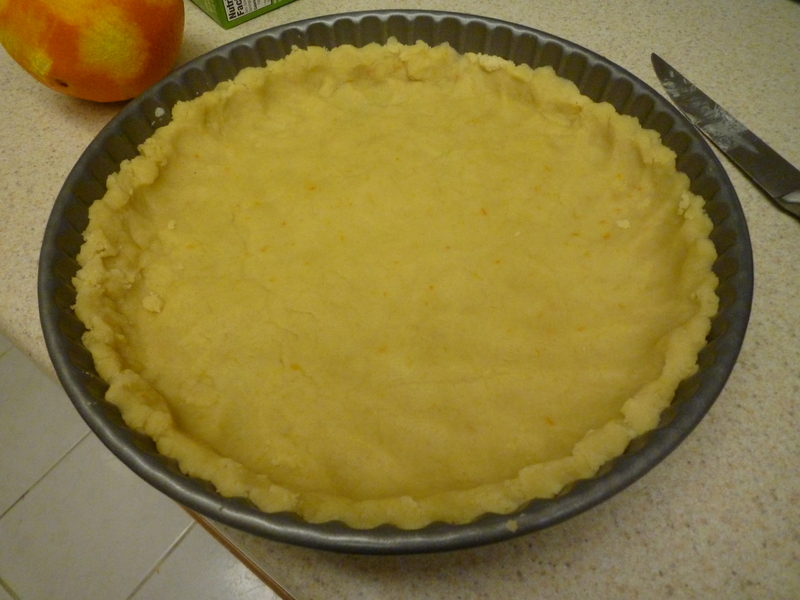 Cover the baking dish with plastic wrap and press down to remove as much air as possible. Move the dish to the refrigerator and allow the belly to cure for one week, flipping it every other day to redistribute the cure. 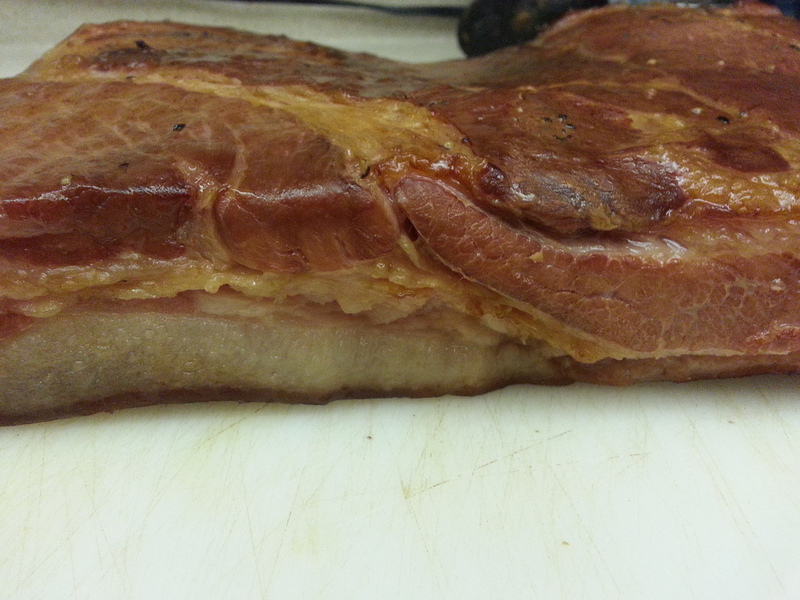 The bacon is cured when the meat is firm to the touch at the thickest point. If it still feels squishy at the end of a week, flip it and allow it to cure for another 24 hours. This belly took 8 days to fully cure. Once the meat feels firm, rinse and pat dry and move it to a wire rack over a baking sheet and refrigerate uncovered for 24 hours. 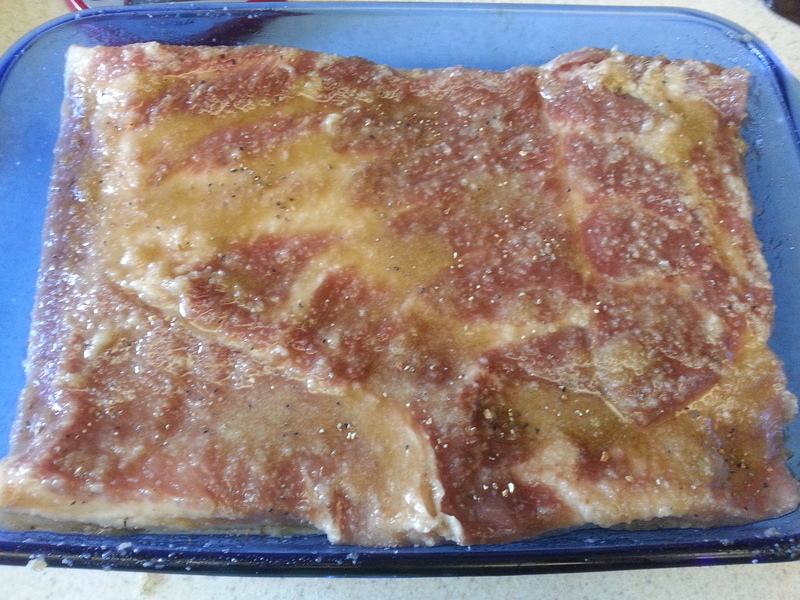 This will allow the surface of the meat to develop a sticky pellicle for the important forthcoming smoky goodness to adhere to. Now, if you have an outdoor smoker you’ll want to preheat it to about 250 degrees. 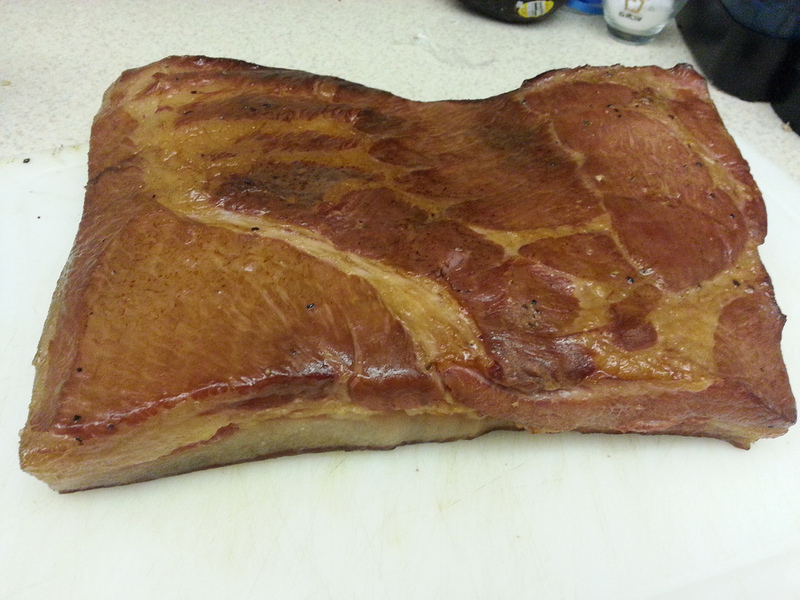 I used an indoor stovetop smoker set over medium heat. 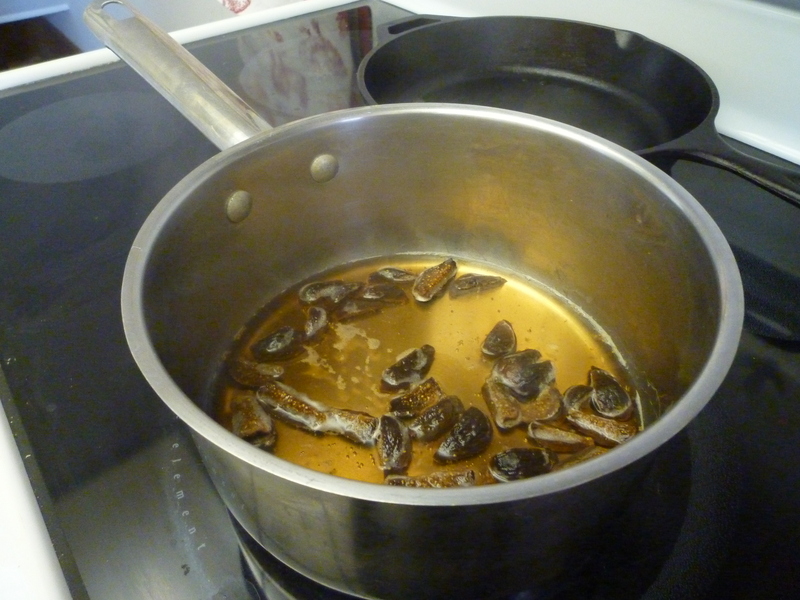 For this batch, I selected applewood chips to add a little bit of fruitiness to the caramel-y molasses flavors in the brown sugar and maple syrup cure. Smoke until the belly reaches an internal temperature of 150 degrees and then allow it to cool completely before attempting to slice. Go ahead and slice it down yourself if you’re feeling like Chef Sakai. Me? I sought the excellent helpful hands of the folks at Springfield Butcher. For a more than reasonable $7 fee, they sliced the whole belly down for me and I had over 4 lbs. 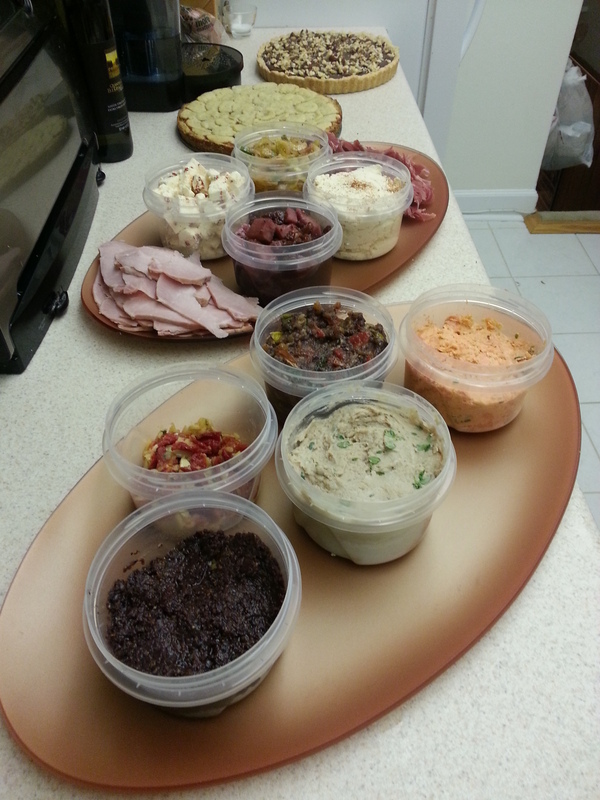 of perfectly even slices to share with family over our vacation trip to Fenwick Island. Verdict? Salty, sweet, deep caramel richness, and a fruity smoky finish. Well-rounded to the point of reaffirming my belief that finding balance in the kitchen is just a step away from translating it to other facets of life. Nobody has everything figured out, and even if someone did…wouldn’t that be kind of boring and predictable? 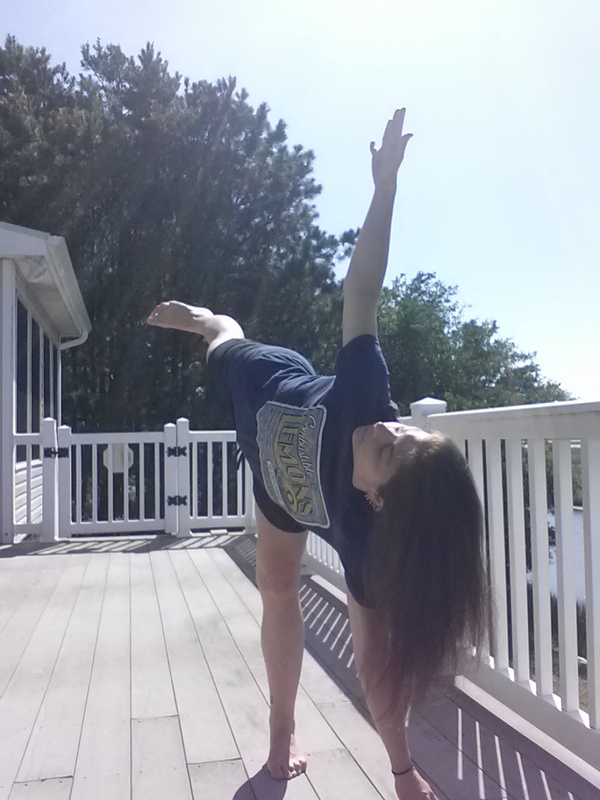 I think I’ll keep looking for and refining the edges, because like the yogis always tell me: When you fall out of an inversion or a balancing posture, just reset your foundation and try again. 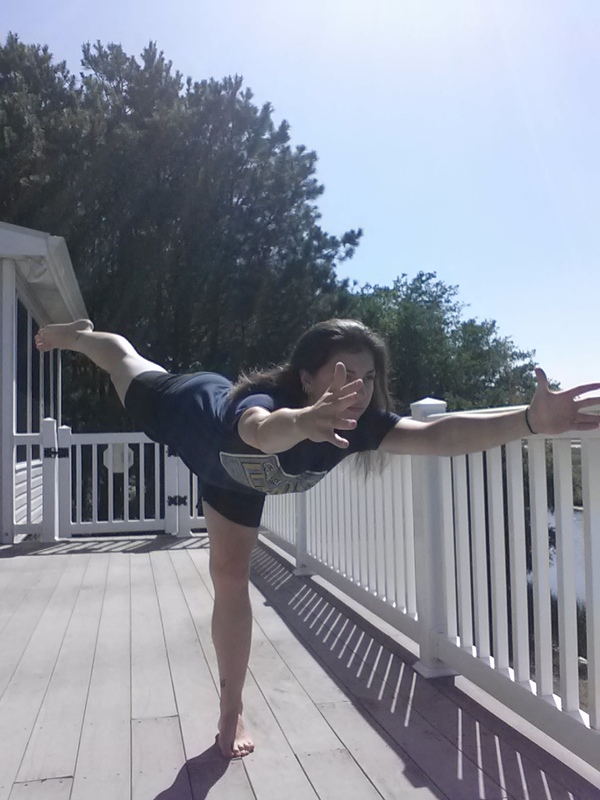 Falling just means you’re reaching for something new. The Choral Arts Society of Washington (of which I am a member) is performing Carl Orff’s Carmina Burana with the National Symphony Orchestra, conducted by Rafael Frübeck de Burgos and featuring soloists Nicholas Phan (tenor), Laura Claycomb (soprano), and Hugh Russell (baritone). The performances will take place at the Kennedy Center Concert Hall on the evenings of September 29th, 30th, and October 1st. Also on the program is Beethoven’s Symphony No. 8. I’ve been luckier than most the first few weeks. My only major downer is Aaron Hernandez going down with a sprained MCL. It could be anywhere from 2-6 weeks before he returns, but I’ll keep him on the bench until I absolutely need the roster spot. It’s a shame; he started off the season really strong. Now let’s switch gears entirely and talk about duck. How is it that in all of my charcuterie posts from earlier this year that I never got around to sharing the delightful creation known as duck prosciutto? 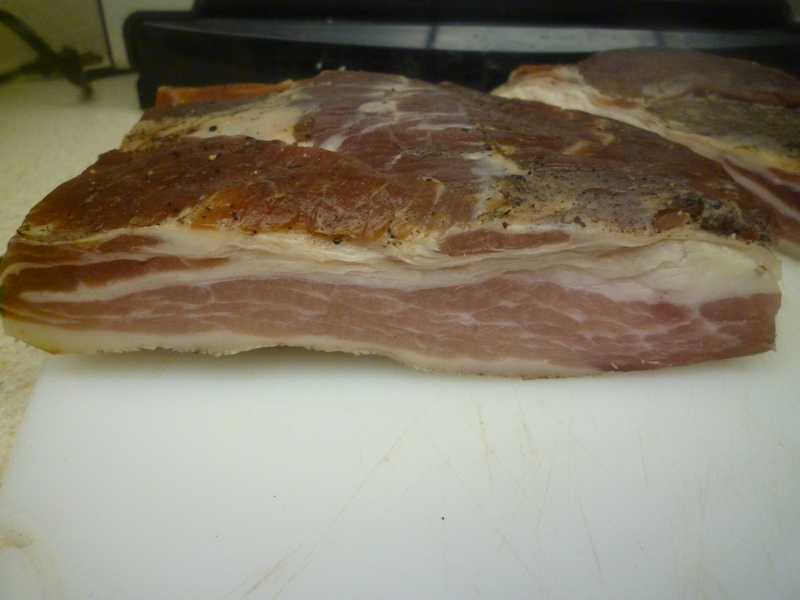 You can even see it hanging in the pictures of the pancetta and soppressata! But honestly, it’s a good thing that I waited. Really. 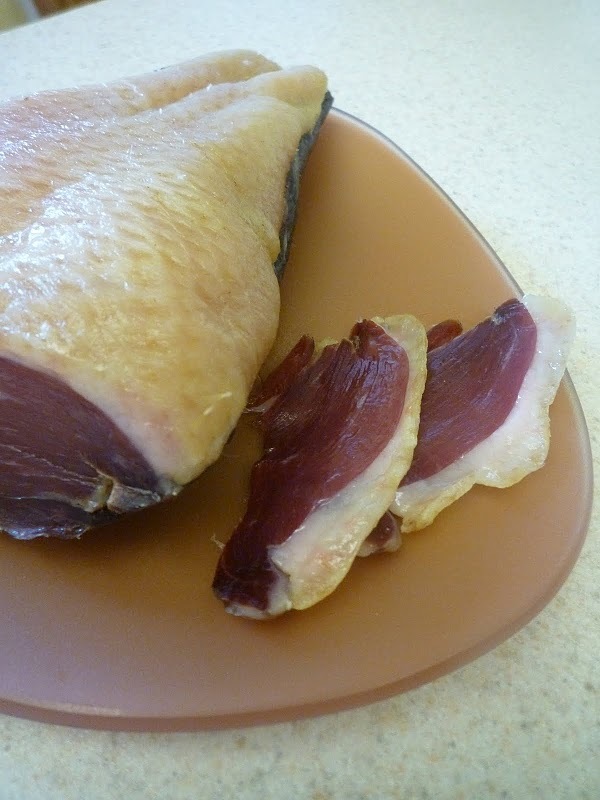 I’ve made the duck prosciutto from Charcuterie a few times now with my own little changes and have discovered a few things along the way that I think will make your first time trying it more successful. This is definitely the easiest charcuterie project to take on, so if you’re looking for a place to start, you’ve found it. First, find a lidded container that will snugly fit your duck breast. 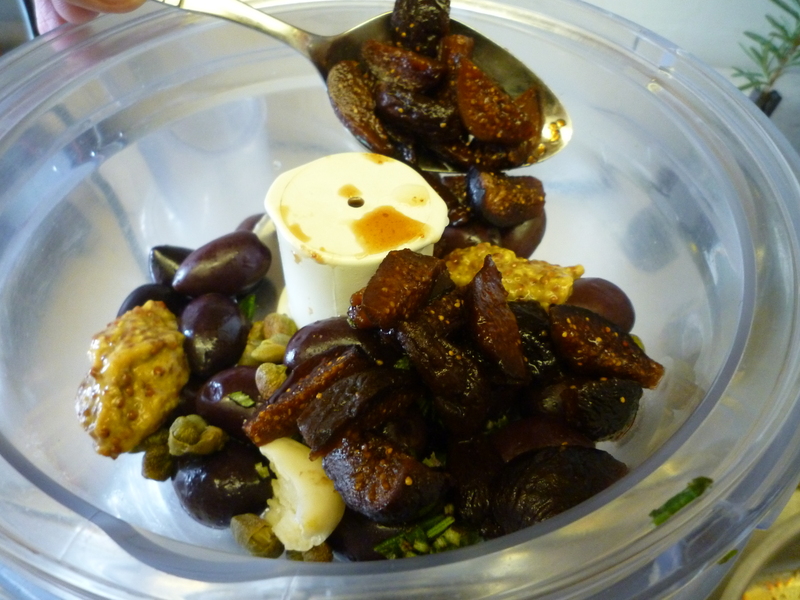 I use a small rectangular Ziploc tub, but a 1 qt. 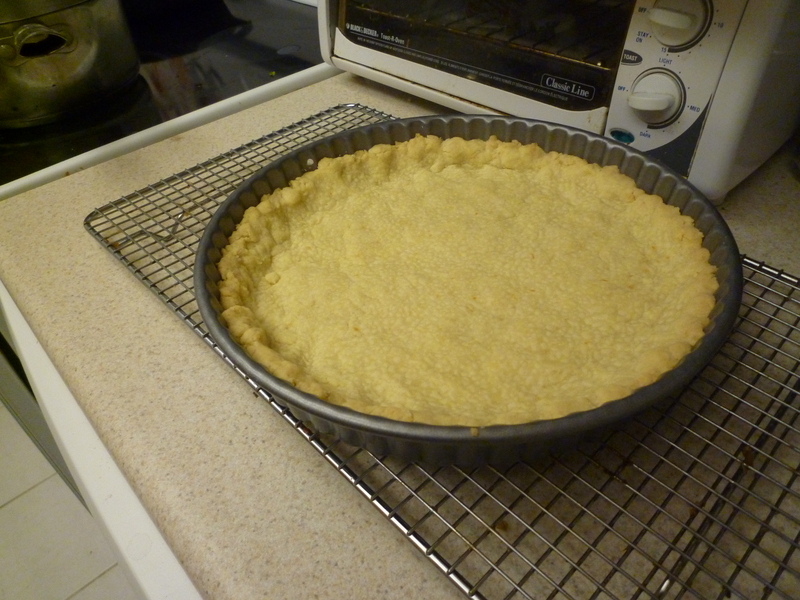 oval baking dish covered with plastic wrap would work well too. Pat the duck breast dry and set aside. Combine the 2 cups of salt with the herbs and zest to make a cure. You can use other flavors too. Some people like to add crushed juniper berries, herbs de provence, or a combination of hot pepper and brown sugar to their cure. Think about the kind of flavors you like. For my preference, nothing brightens up duck like orange zest and a few torn sage leaves. 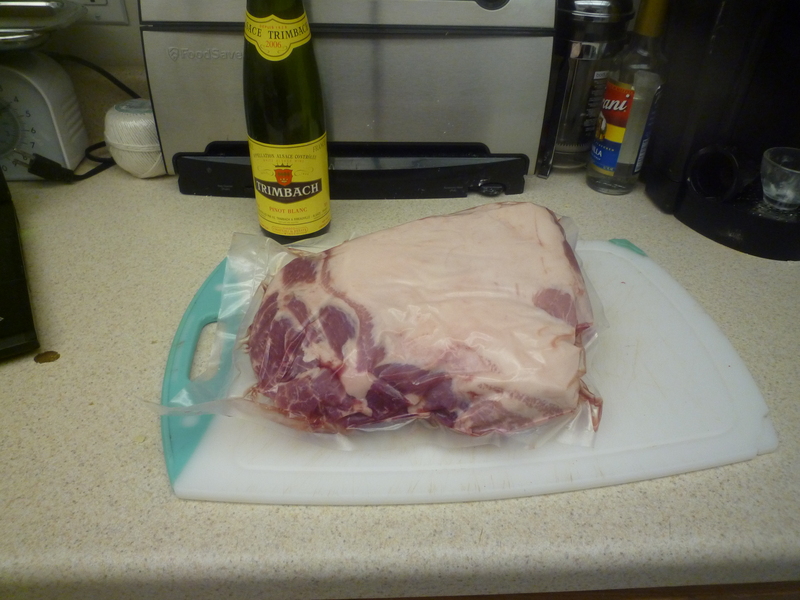 Pour one cup of the salt cure into the storage tub or baking dish and place the duck breast on top of it. Pack enough of the remaining cure around and on top of it to just cover the surface on all sides. 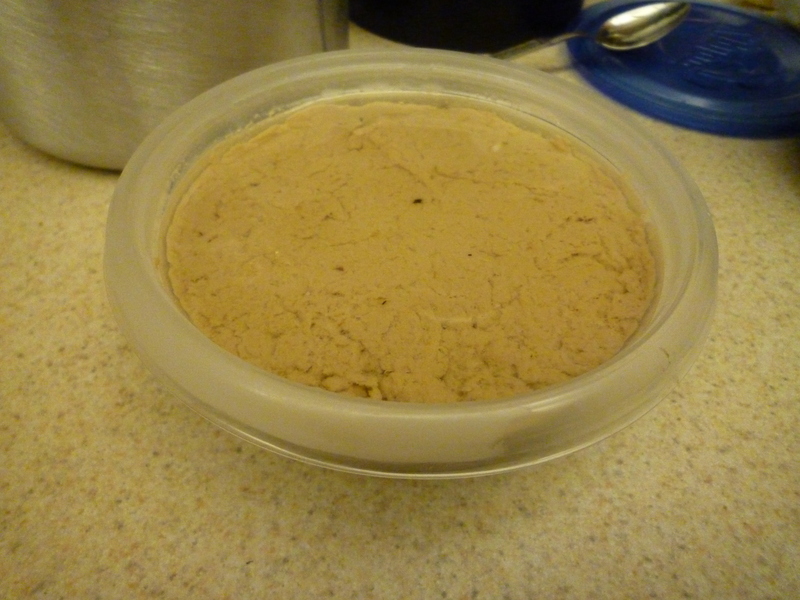 Cover the container and refrigerate for 24 hours. Remove the duck breast from the cure and rinse it under cool water. Pat it dry once again and weigh it. Wrap the duck breast in a layer of cheesecloth and hang it in a cool, dark, and mildly humid place to dry. Ideal conditions are around 60 degrees F. and 60-70% humidity. Hang for 1-2 weeks, or until it has lost 1/3rd of its original weight. Store wrapped in butcher paper in the refrigerator or vacuum seal for longer-term storage. Serve very thinly sliced with peppery greens like arugula, and fresh tomatoes. Happy Autumn to you all. I assure you that after the Carmina Burana performances, I’ll be back with more fall (football!) recipes. I think a trip to Eastern Market for some nice, plump sea scallops is in order. Wrap them up in pancetta, roast quickly, and serve with a spicy plum or peach chutney…yum. Ah, but with room in the drying closet comes room for a new project. With all of this bacon-y goodness and soon to be finished soppressata, I thought something a little bit leaner might be in order. I once bought peperone from a small Italian market that made it on-site and was pleasantly suprised by two things: It was much less fatty than the average slice you might see on pizza and also much more heavily spiced. 5 lbs. of lean beef, cut into small cubes. A round or chuck roast with the sinew and fat trimmed away is perfect. 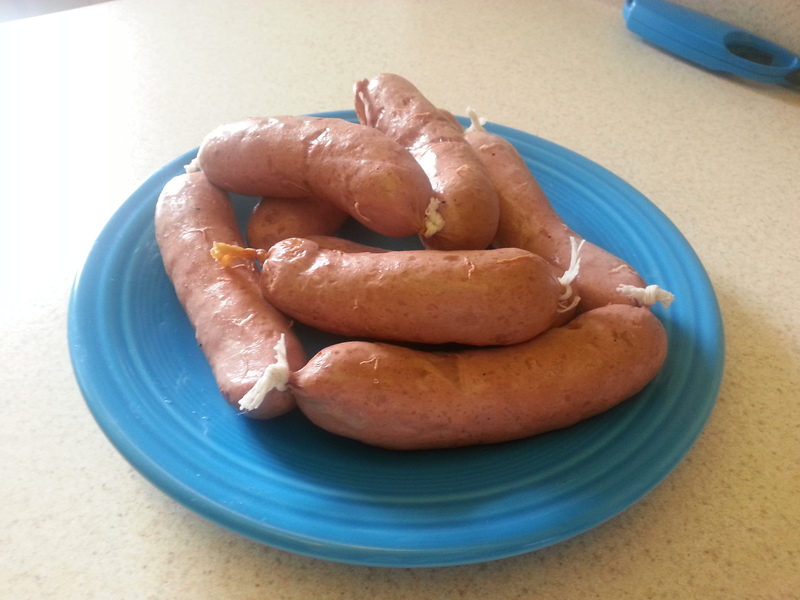 Soak the sausage casings in warm water for at least a half hour. 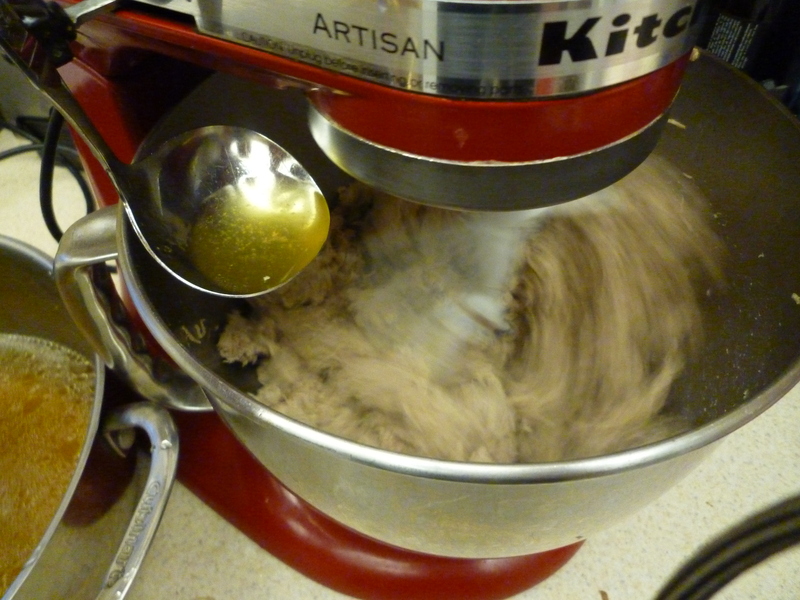 Combine the meat with the kosher salt and DQ curing salt #2 and grind through a small die into the bowl of a stand mixer. Dissolve the Bactoferm starter in the distilled water and add it, along with the rest of the ingredients, to the ground meat. 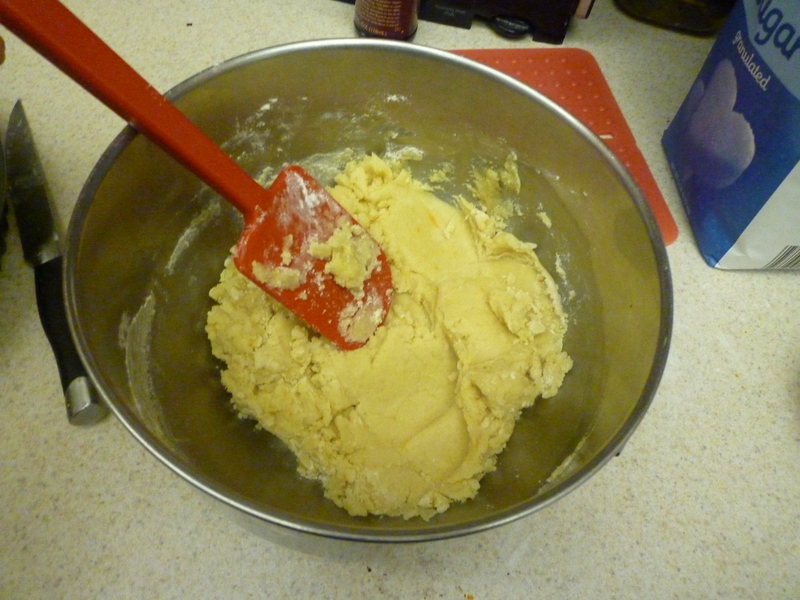 Mix thoroughly to combine everything. At this point, I let the meat rest for a few hours in the refrigerator. 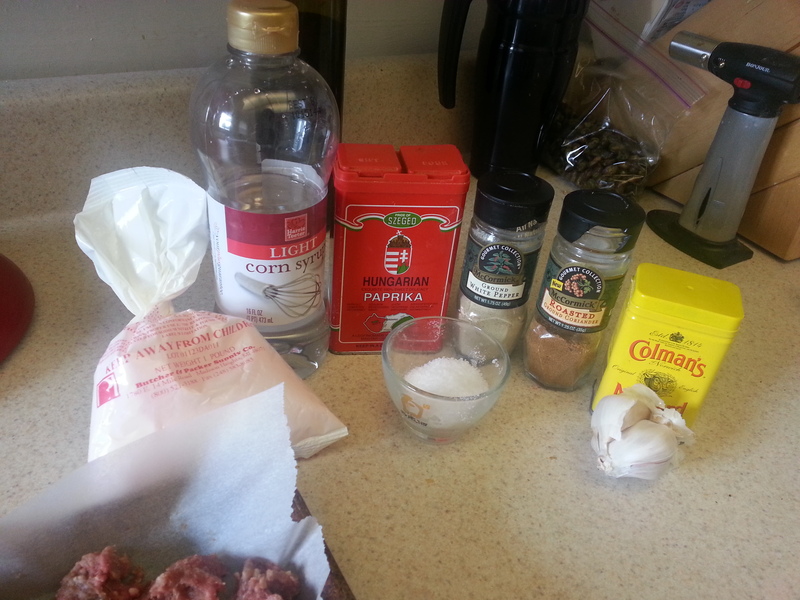 Prior to stuffing, I also fried a small patty of the ground meat to check the seasoning. 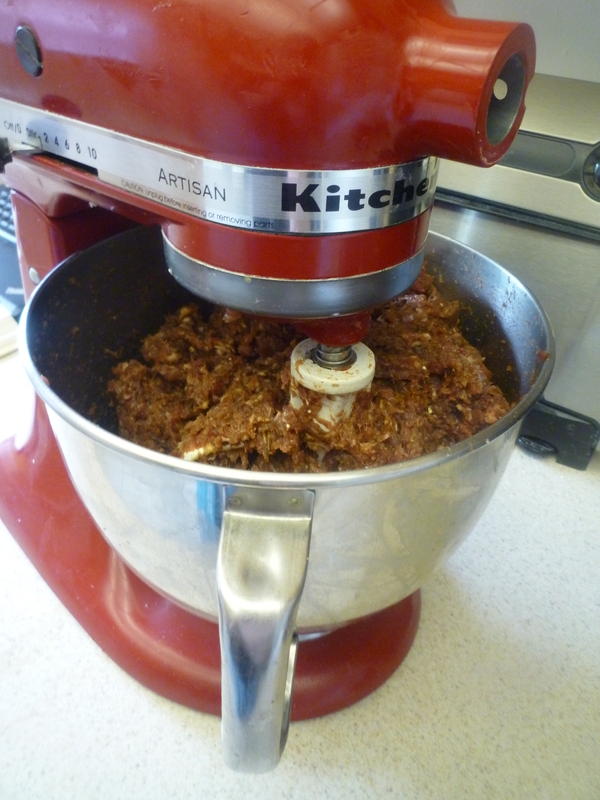 Grease a sausage stuffer (I use the attachment for the Kitchenaid) with a small amount of shortening. Find the opening in the soaked casing and run cool water down the length of the casing several times to remove any kinks, and then shimmy it onto the stuffer. Tie a knot at the end. 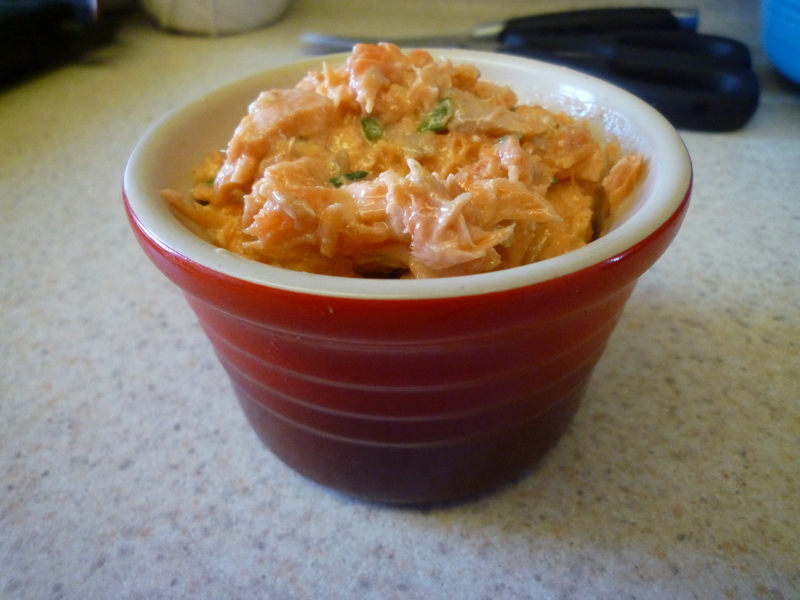 Have a sterilized pin at the ready to remove any air pockets that form as you form the peperone. 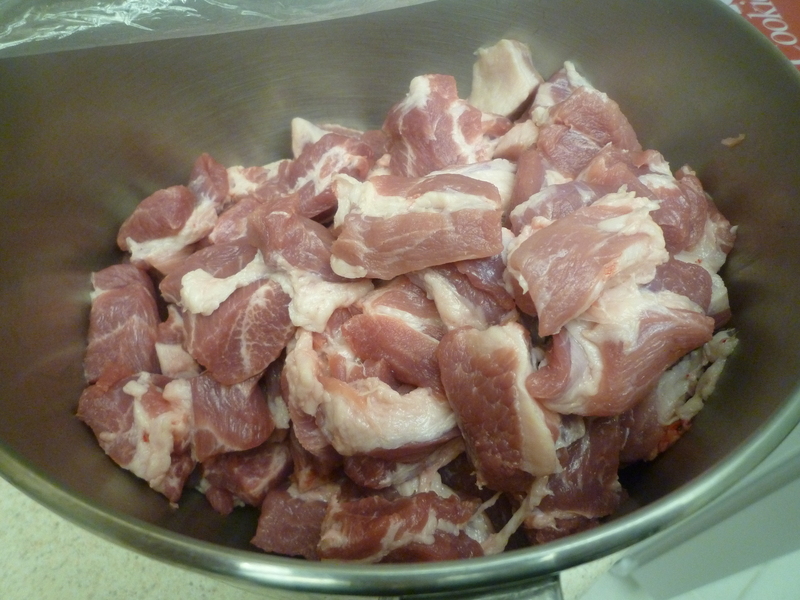 Stuff the seasoned meat into the casing using consistent speed and gentle, even pressure. 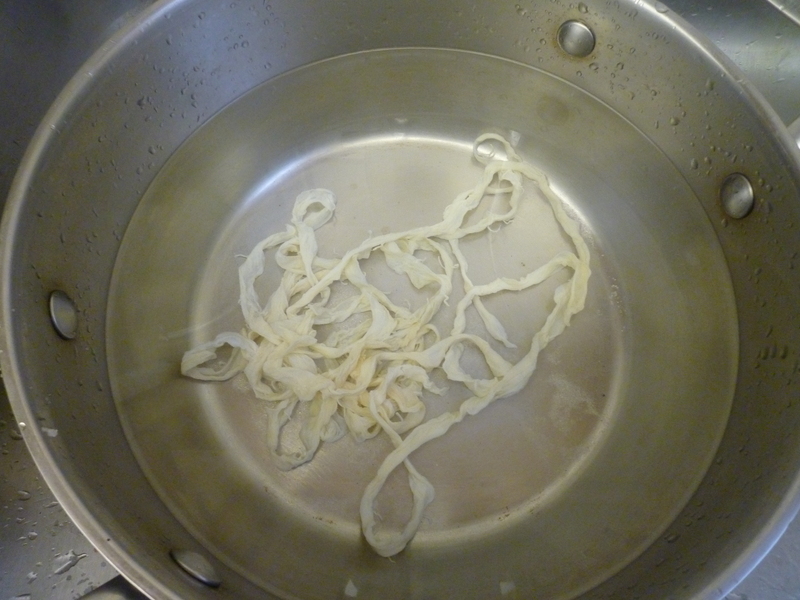 Once you have completed stuffing a rope of peperone, twist it into 10 in. links alternating directions, and then tie each link off with butchers twine. 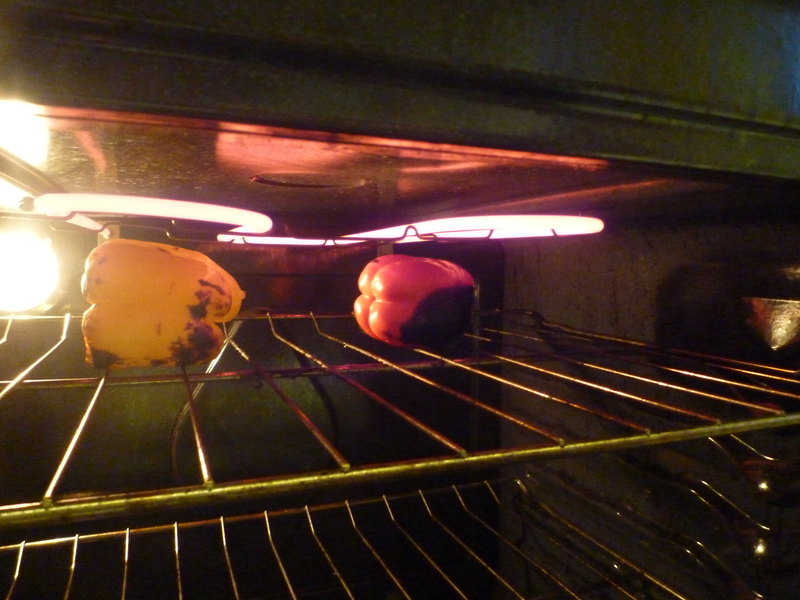 Prick the peperone all over to remove any remaining air pockets and facilitate drying. Weigh them and take note of the weight. Hang the links at room temperature for 12 hours and then move to a cool, dark, humid place to dry completely. Ideal conditions are about 60 degrees and 60-70% humidity. 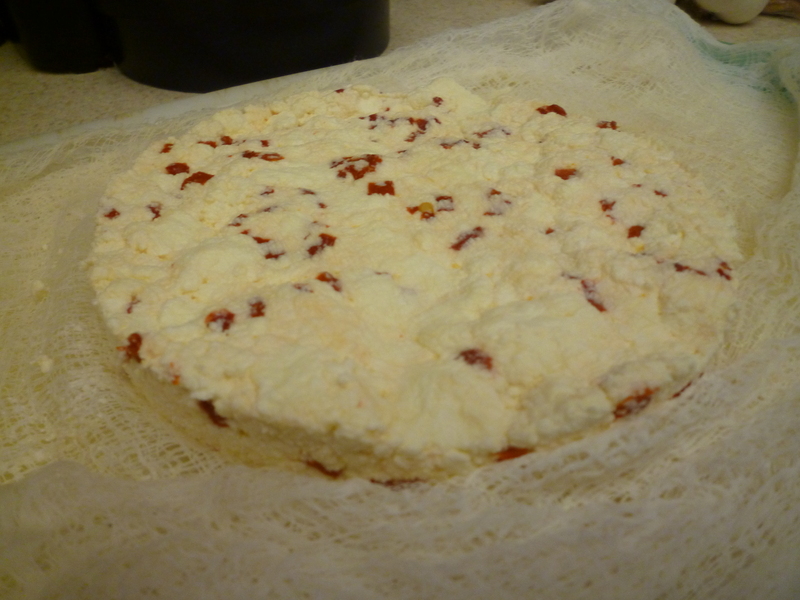 The peperone is ready when it feels firm all the way through and has lost 1/3rd of its weight. 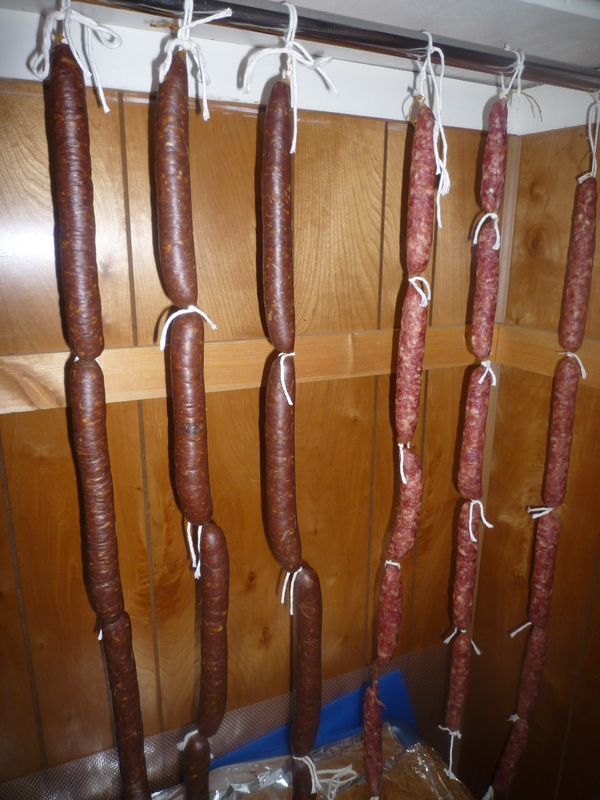 Here it is hanging out in the drying closet on the left, with the soppressata (which is almost ready!!) on the right. Depending on the thickness and size of the links, drying can take anywhere from one to three weeks. 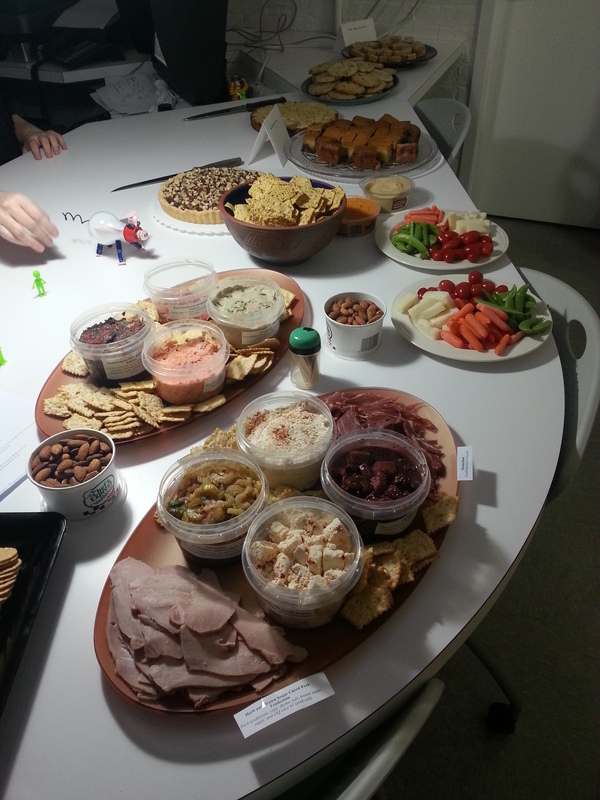 Then, well…mangia! Update: Here’s what the finished peperone looked like. Had a nice little kick to it, but nothing too palate-numbing. Really worth the wait! As hard as it may be to believe, I don’t always feel like cooking. Like any other working person, there are days that I come home from the office entirely wiped out. There are also the rare occasions when Joe gets a fast-food craving, and unless it’s for burgers at Five Guys I usually pass. Those evenings, I turn to simple pleasures for dinner. Maybe an avocado, sliced thin with a squeeze of lime juice and a sprinkle of salt alongside thinly rolled slices of smoked turkey. If I have caramelized onions in the fridge, I might cut up some mild cheese (like queso blanco) and eat those together with a little bit of French bread. But my favorite simple meals are things like little slices of soppressata and sharp provolone with some kind of raw or pickled vegetables on the side. That, some warm bread, and a glass of sparkling water and I’m a pretty happy camper. Well, I did feel like cooking this weekend, and honestly, I can’t really think of why I haven’t been compelled before now to make my own soppressata. 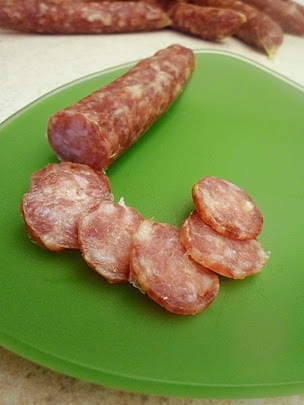 I’ve made fresh sausage lots of times. The only difference here is that this is left to dry for a few weeks. Okay, so there are a few more differences than that, but only in the sense that you need to mix a spoonful of special salt and a starter into your ground meat. Most recipes you’ll find online don’t include them, but the authors of Charcuterie recommend them to guard against the growth of mold and prevent botulism. 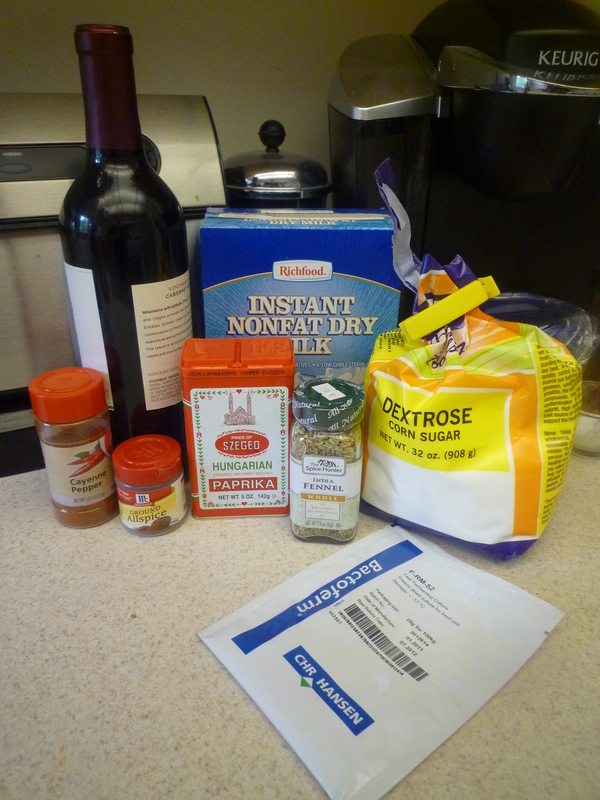 I’ve included a source for those ingredients and have found their shipping and service to be excellent. 3 tbsp. dextrose (www.amazon.com Ooh, one-day shipping!) 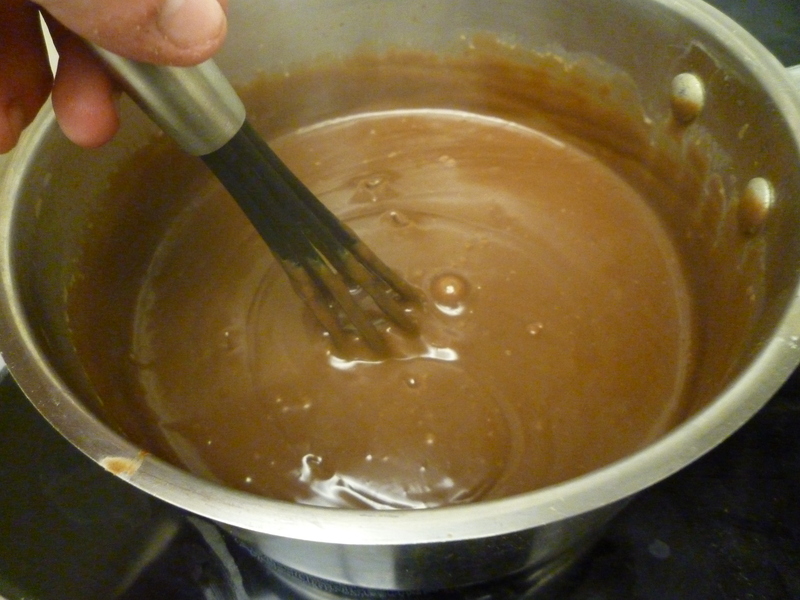 You can also use plain sugar, but dextrose is a better food for your starter. Get both the fat and the meat very cold. In fact, you can even freeze the fat. 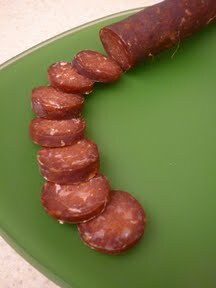 This will keep it from smearing and give you those wonderful little bites of fat you see in soppressata. 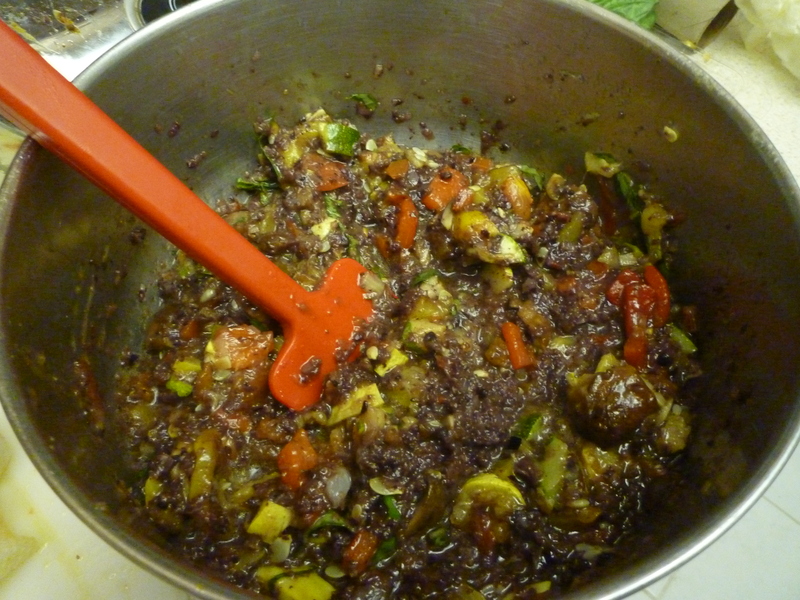 Grind the fat and meat coarsely and then refrigerate. Soak the casings in water that starts at 110 degrees F. while you prepare the rest of the ingredients. 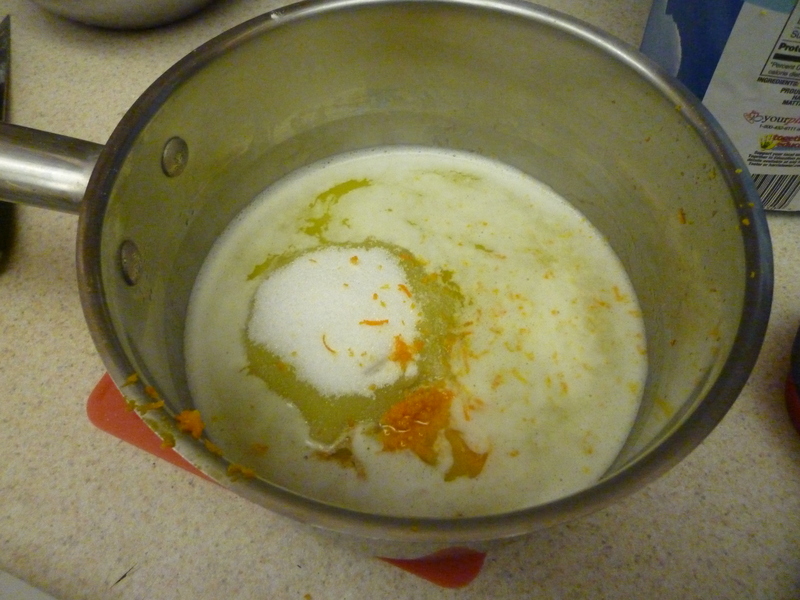 Dissolve the Bactoferm starter in the distilled water. 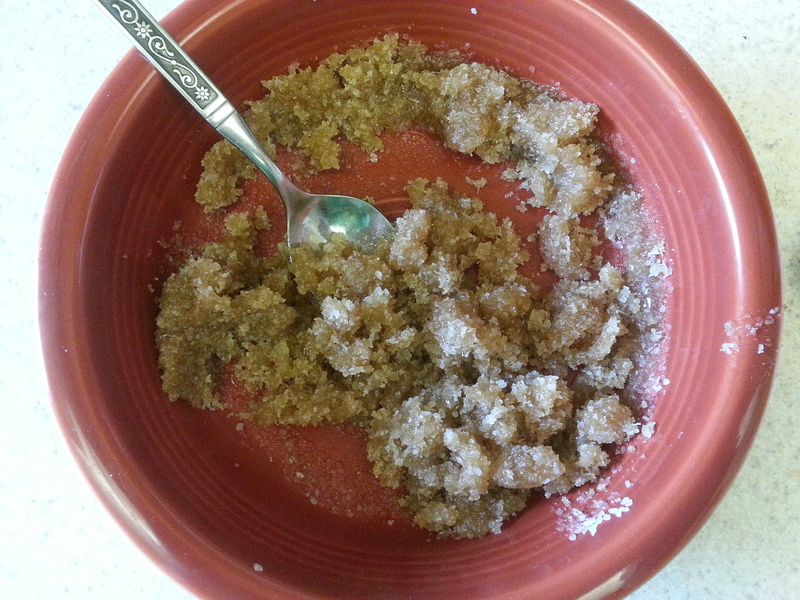 In a separate bowl, combine the rest of the dry ingredients for the cure and mix well. 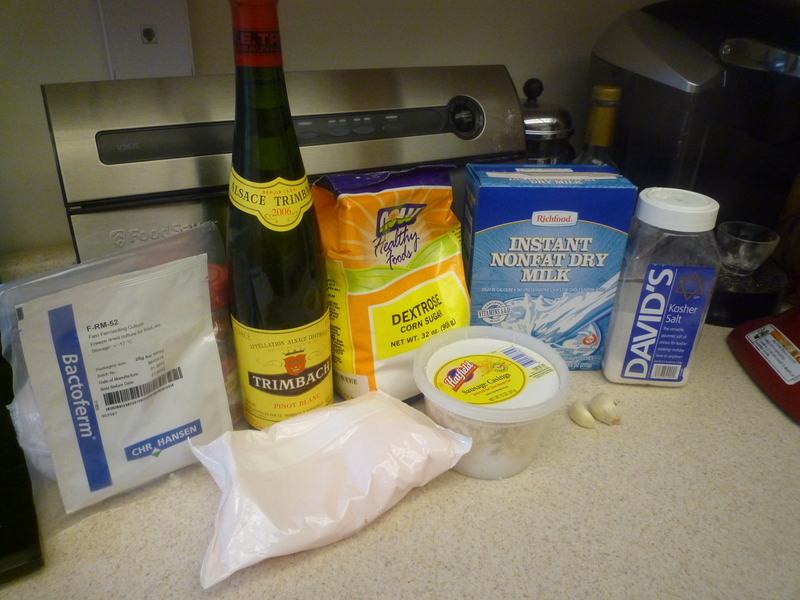 Add the cure, wine, and starter to the meat and mix on your mixer’s lowest speed (or by hand) for a minute or two until well combined. 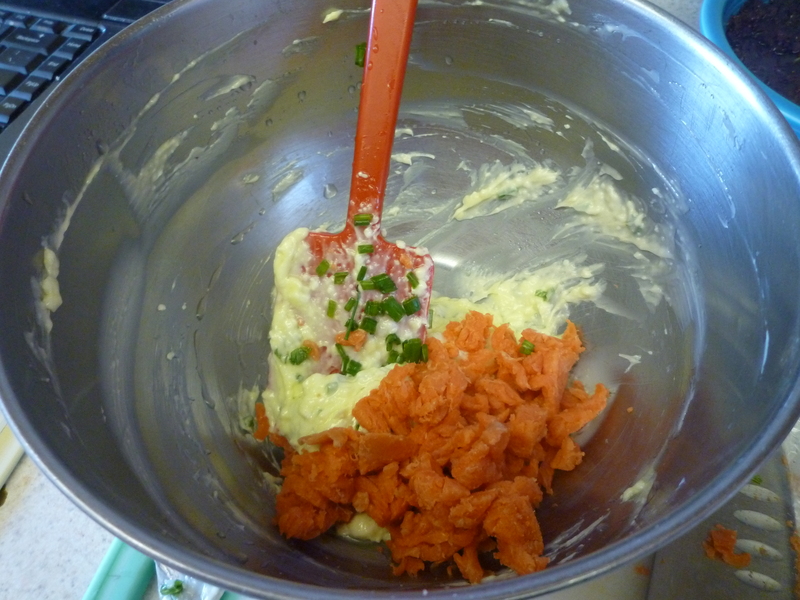 Return the mixture to the fridge while you prepare the sausage stuffer. 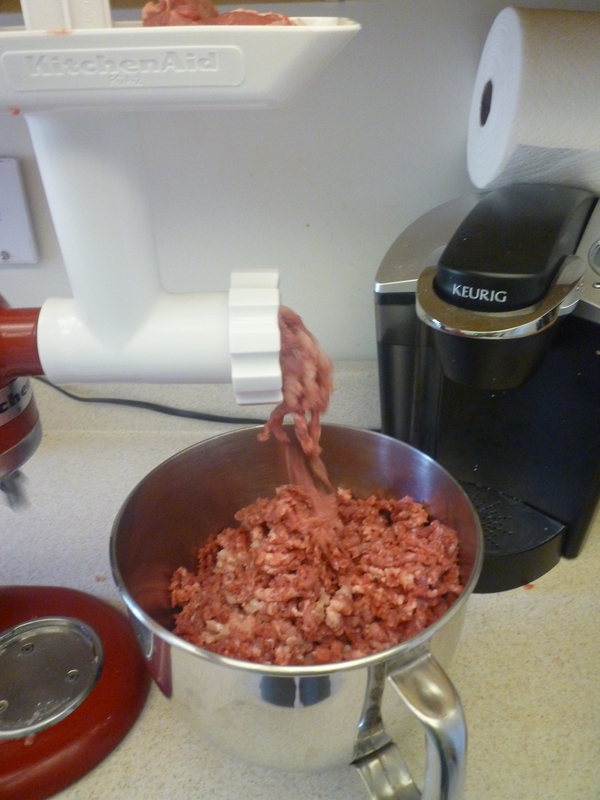 Grease a sausage stuffer (I use the attachment for the Kitchenaid) with a small amount of shortening. Find the opening in the soaked casing and run cool water down the length of the casing several times to remove any kinks, and then shimmy it onto the stuffer. Tie a knot at the end. 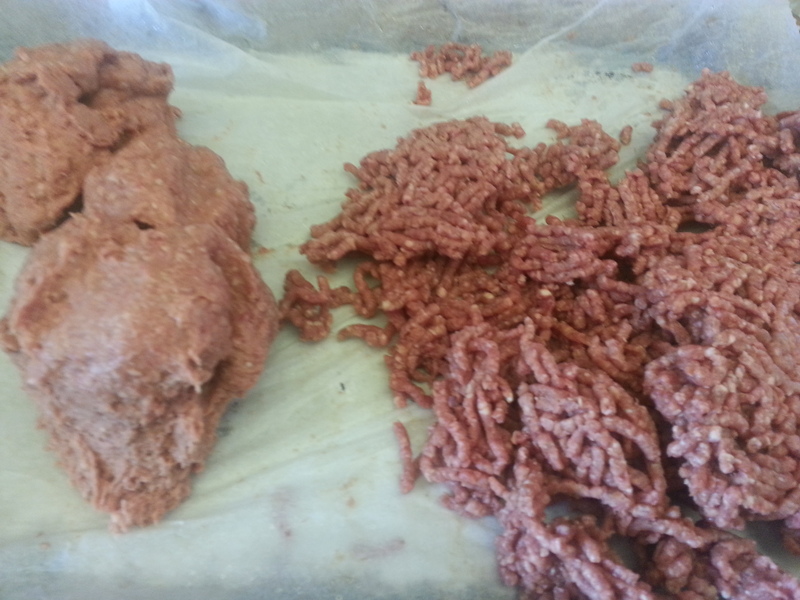 Slowing stuff the meat mixture into the sausage casing. Have a sterilized pin handy to prick out any air pockets that form. Keep one hand on the extruded sausage and stuff as evenly as possible. (It is difficult to take pictures while doing this, but you can see more of the process in my earlier post on boerewors.) Once you have completed a rope of sausage, twist it into links alternating direction each time, or tie them off with small pieces of butchers twine. Prick the links all over with the sterilized pin to facilitate drying and remove any remaining air pockets. Weigh the sausage and take note of the pre-dried weight. 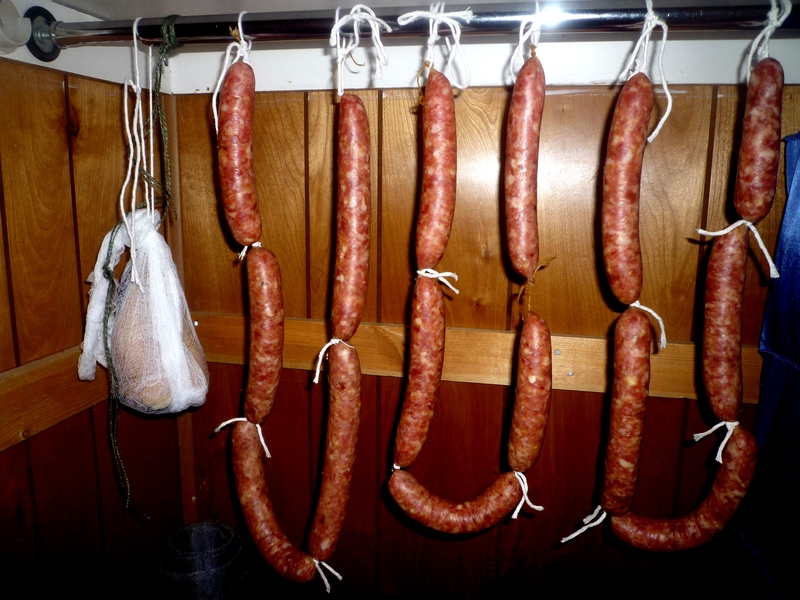 Hang the sausages to dry at room temperature for 12 hours. 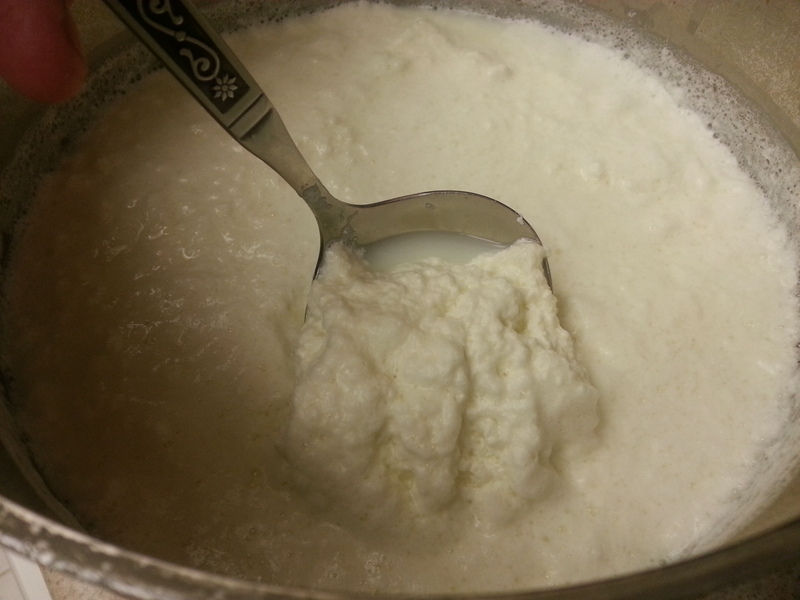 This will help to incubate the beneficial bacteria created by the starter. After 12 hours, move the links to a cool, humid, dark place to dry until they have lost 1/3rd of the original weight. On average, this takes 2-3 weeks. 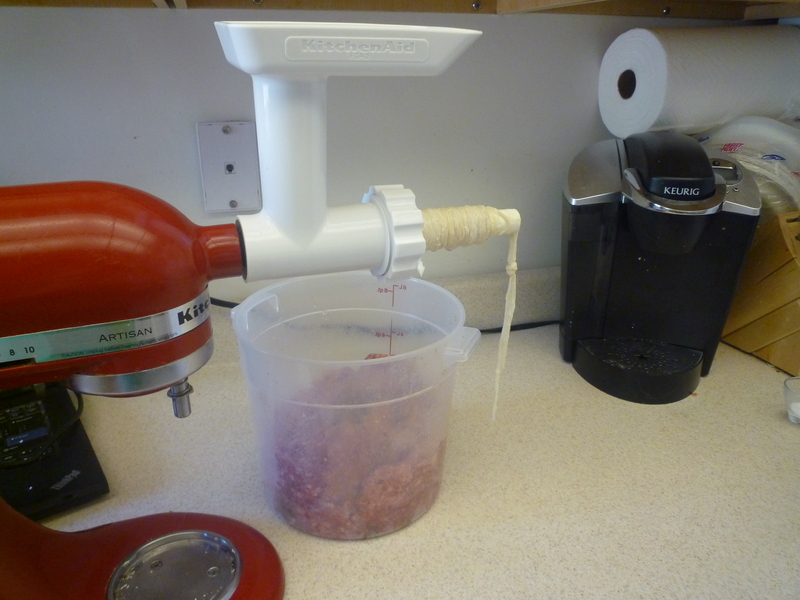 This soppressata began drying on Saturday afternoon and was 74 oz., so it will be finished when it reaches 49 oz. See you then! Update! 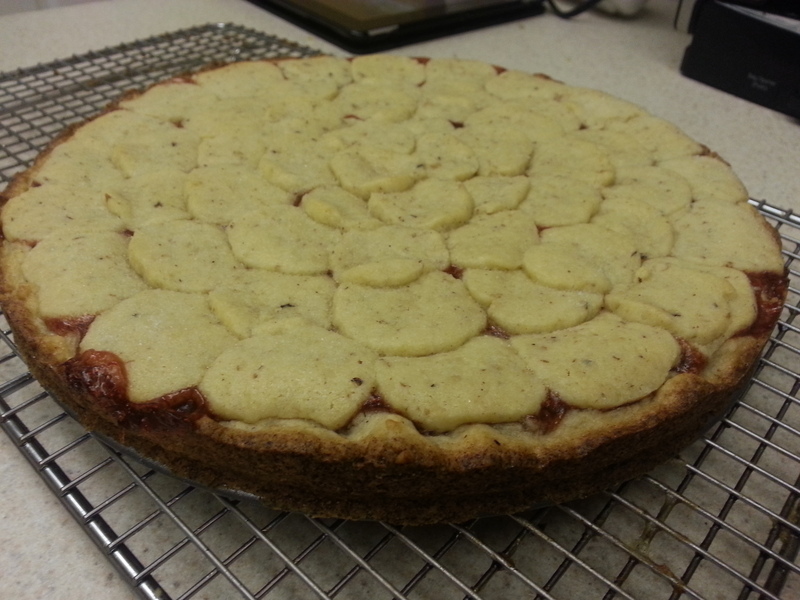 Here’s a picture of the finished soppressata. It was amazing, but gone so quickly. P.S. My basement smells delicious.